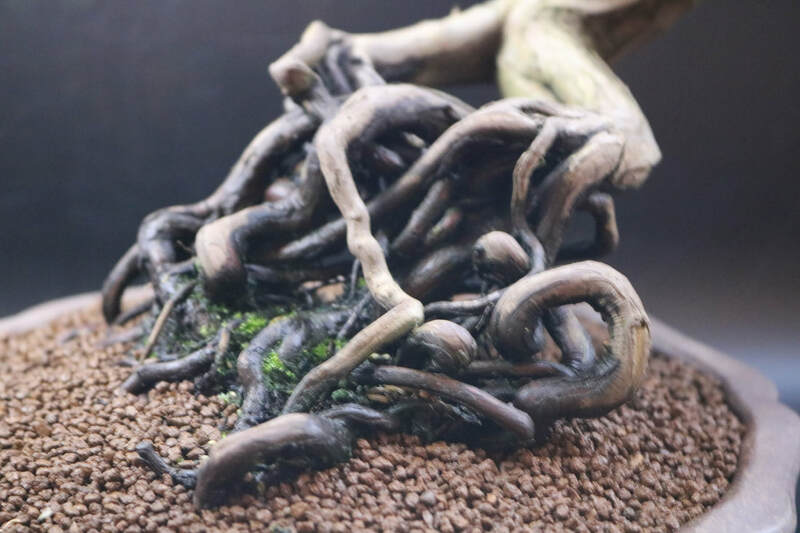 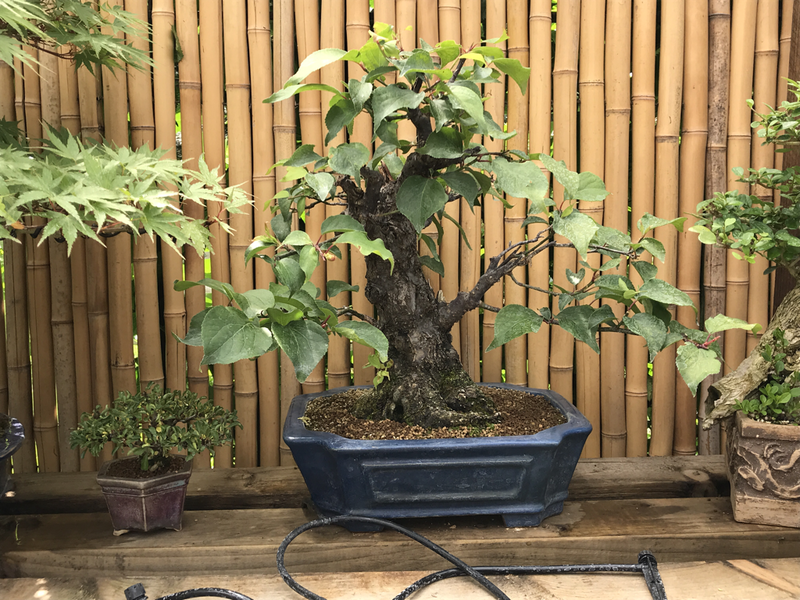 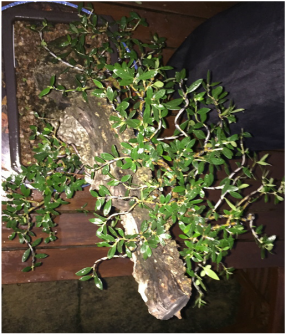 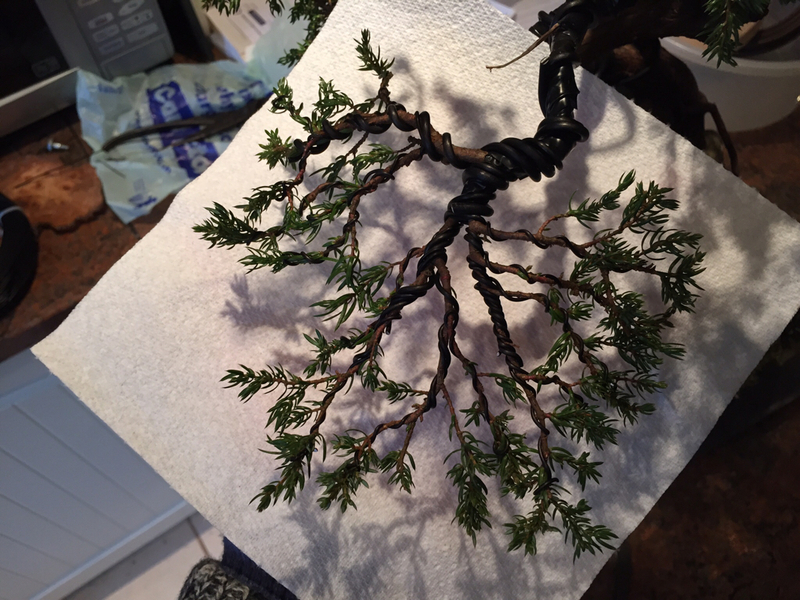 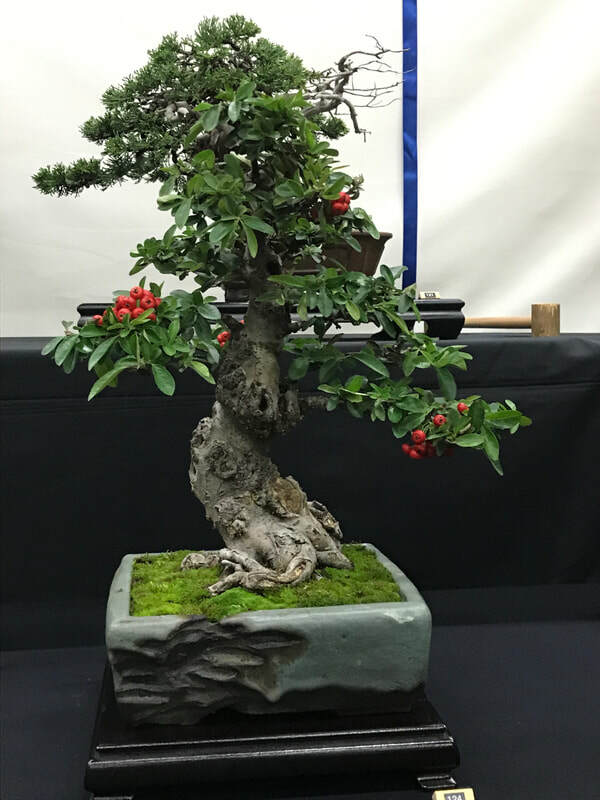 My first bonsai award!! 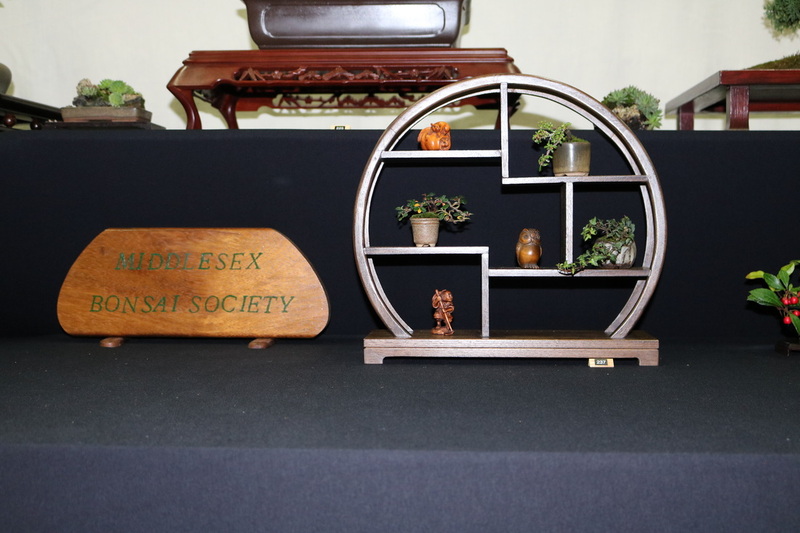 .... Olive wins best in show - exhibitor's choice! 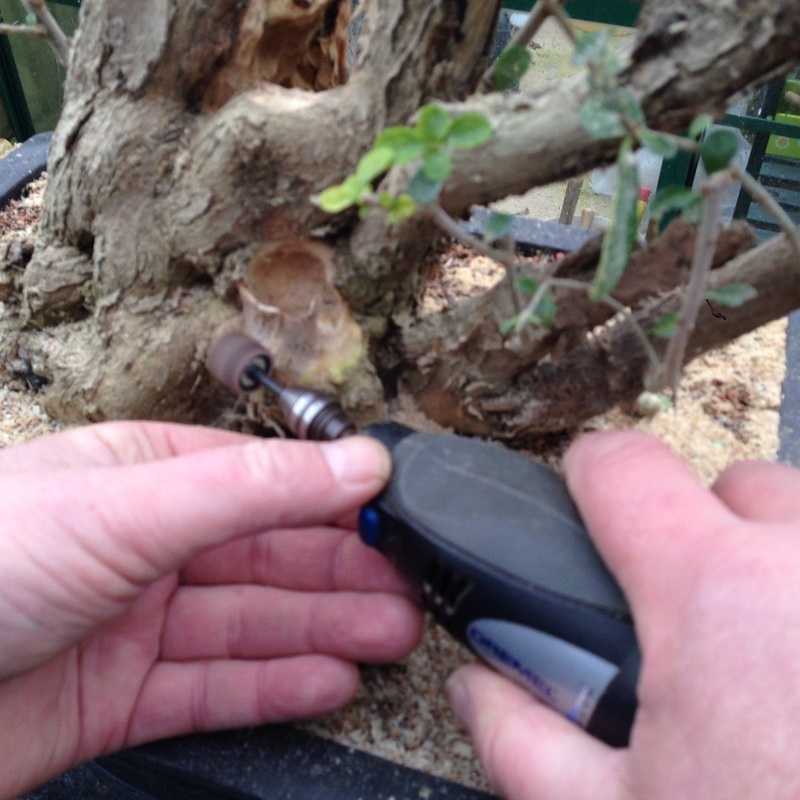 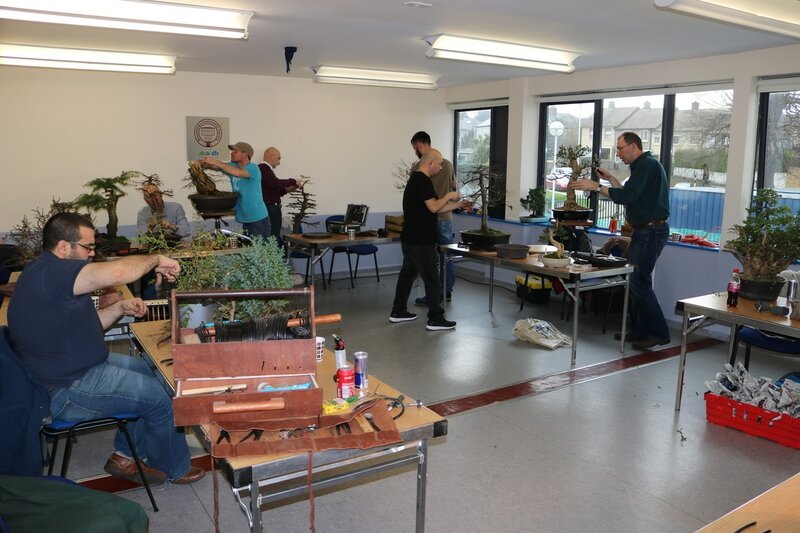 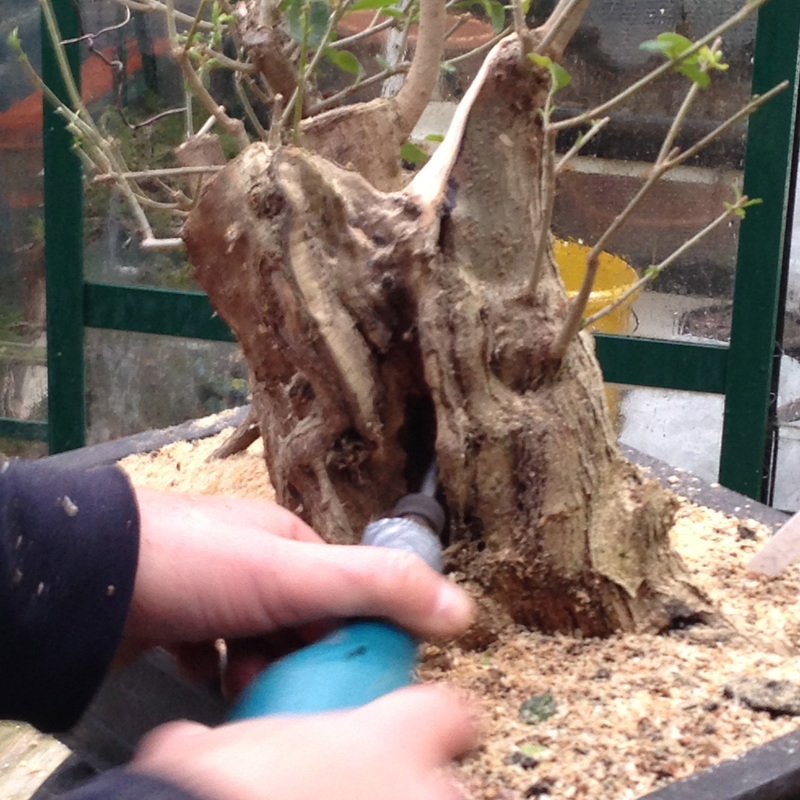 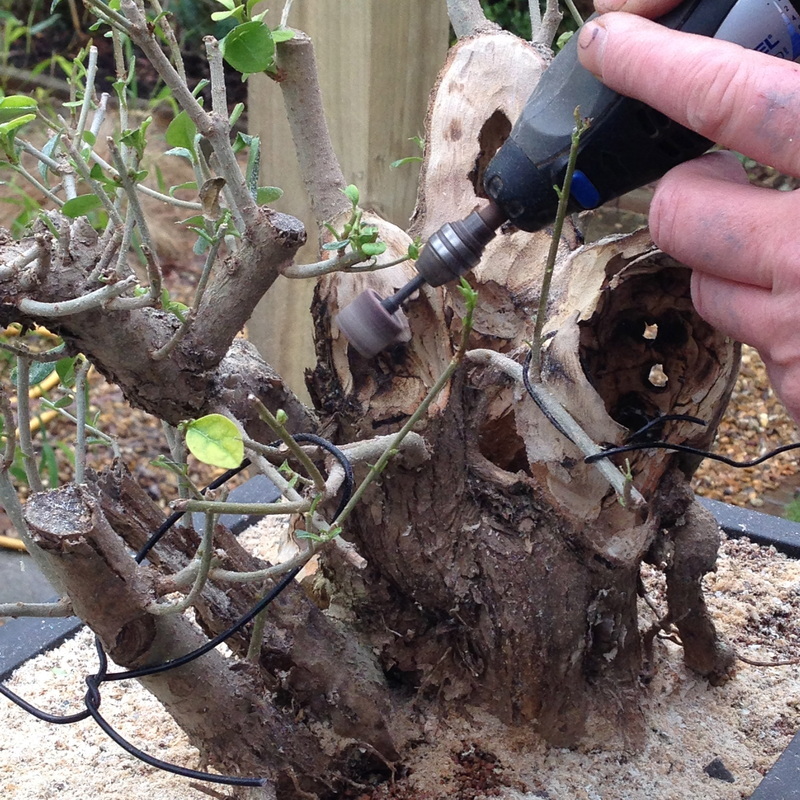 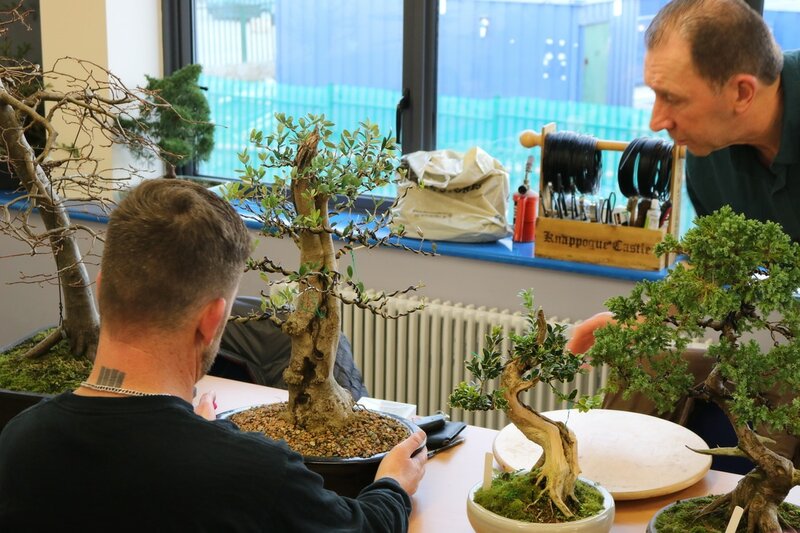 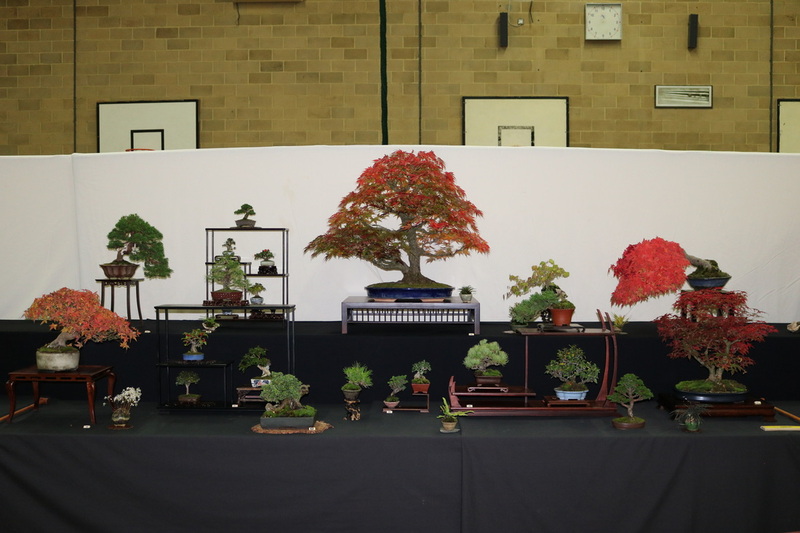 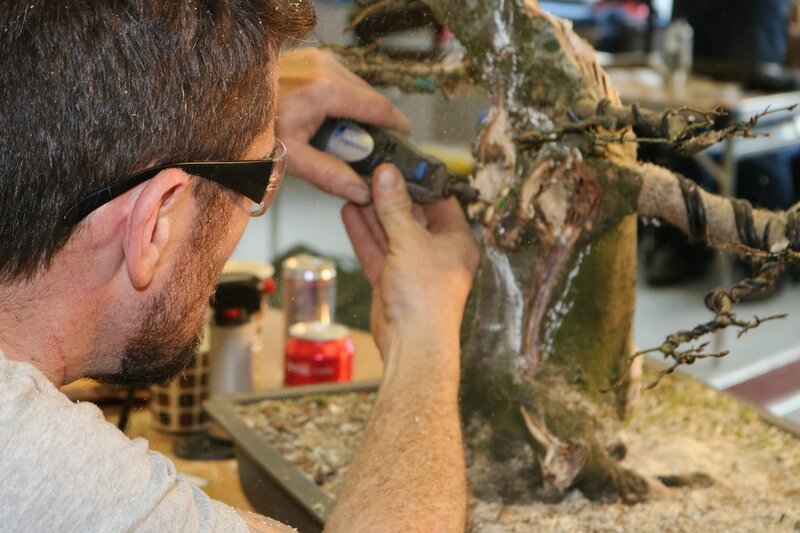 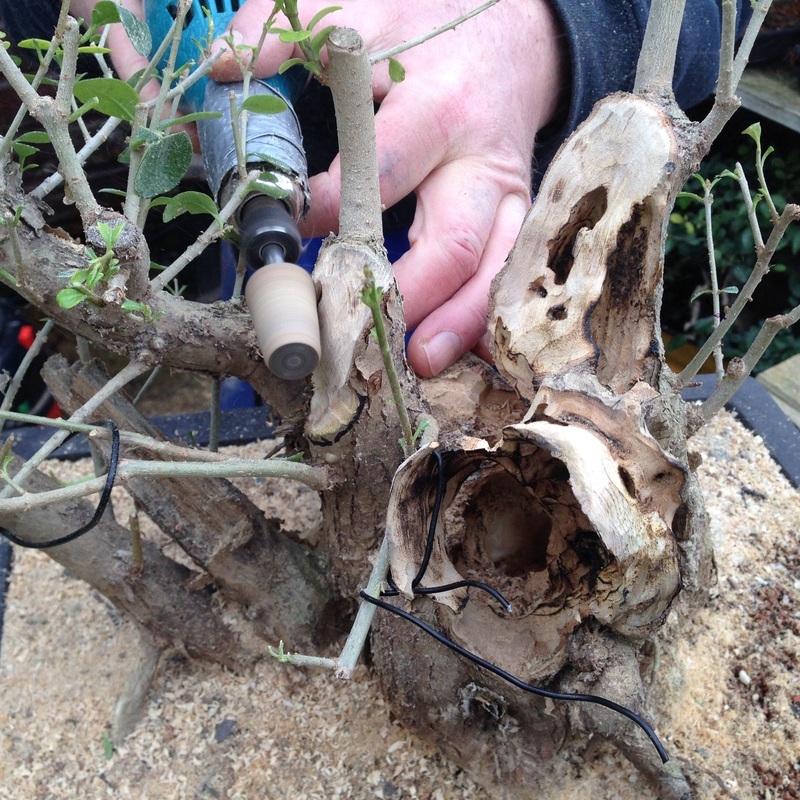 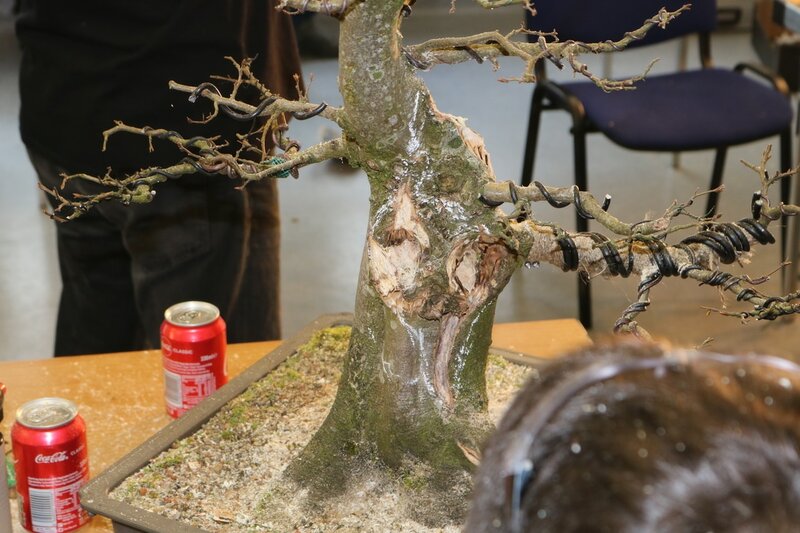 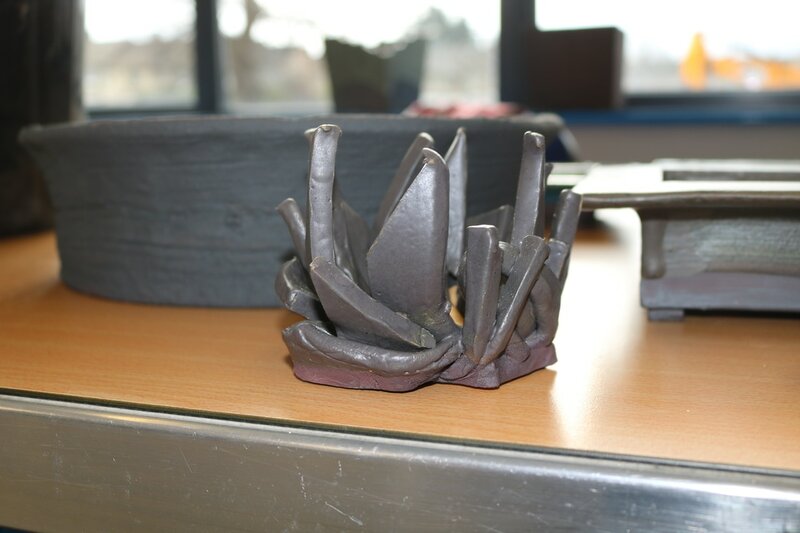 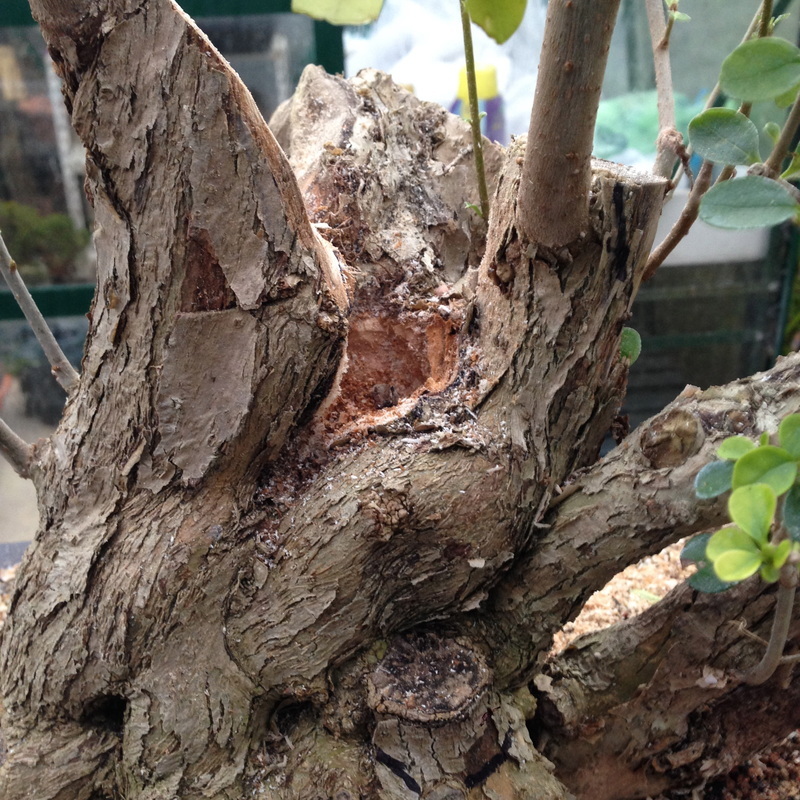 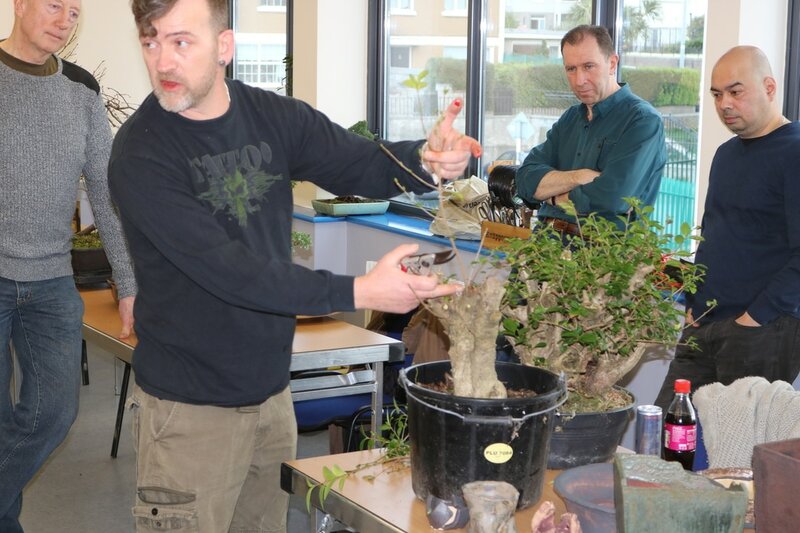 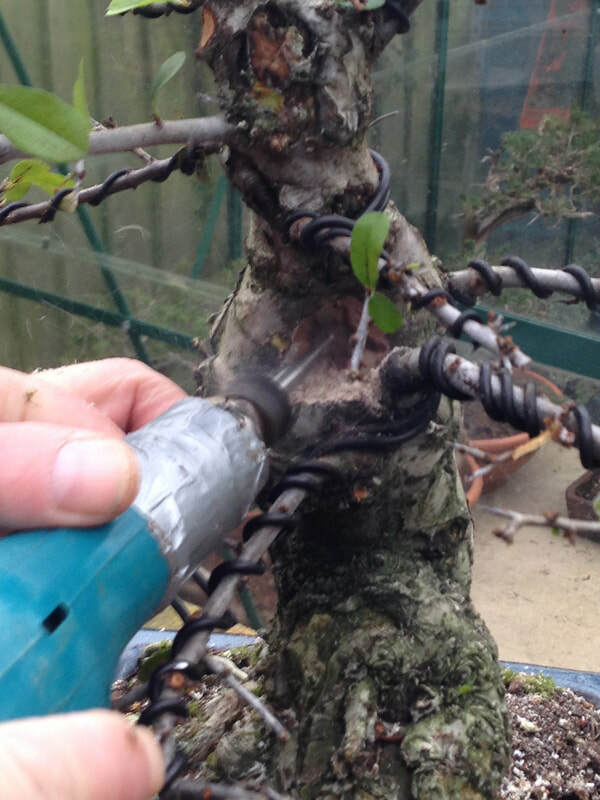 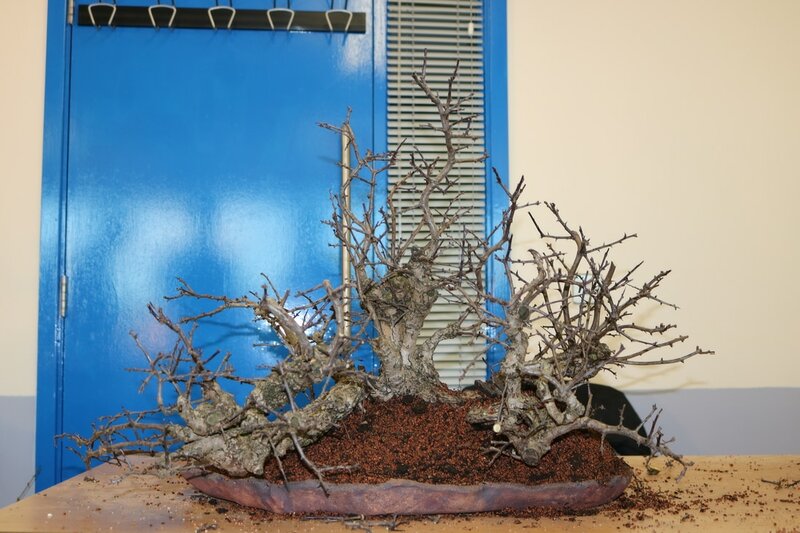 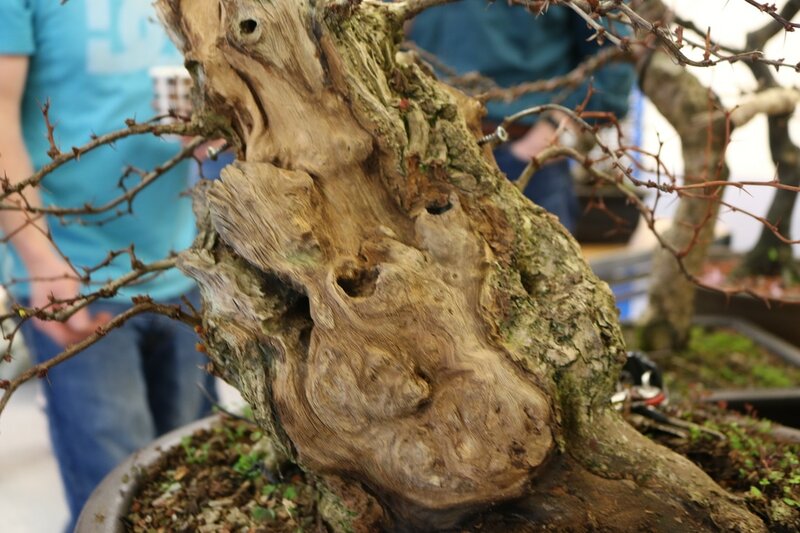 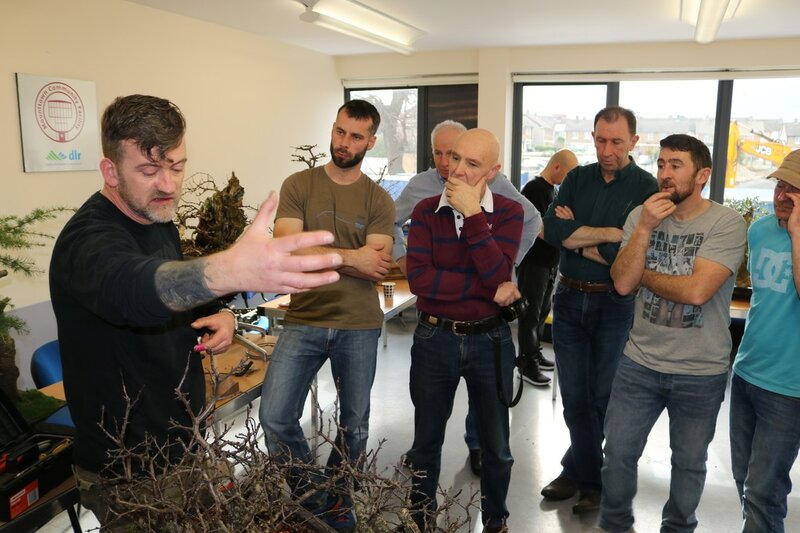 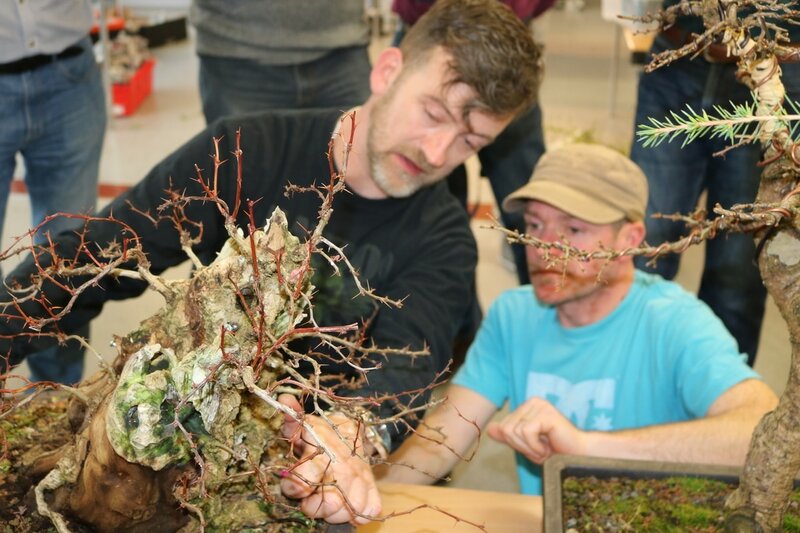 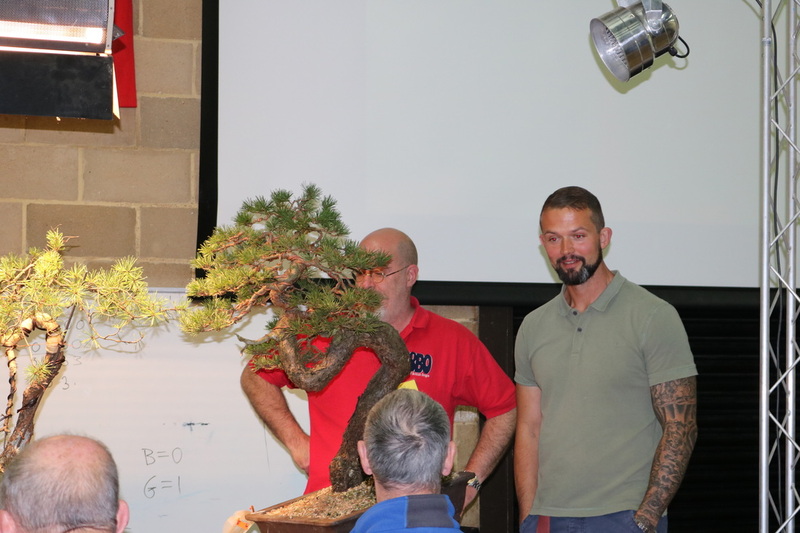 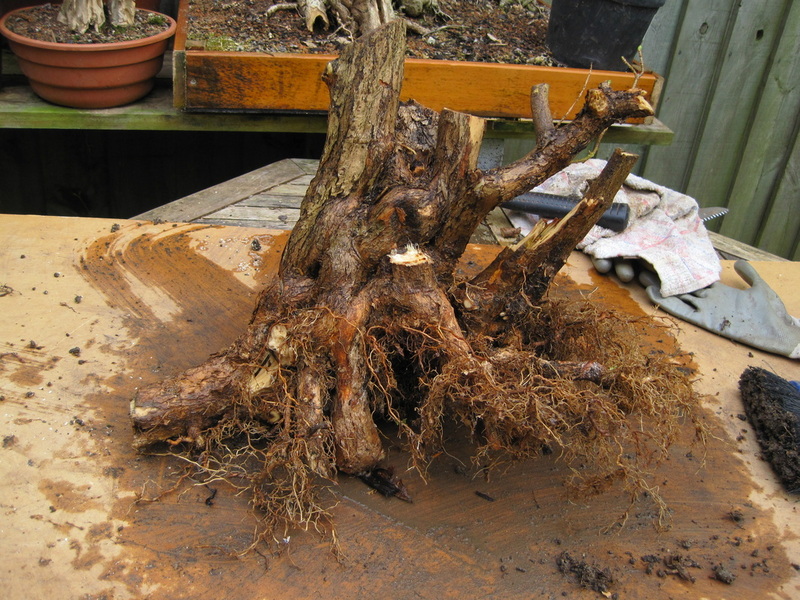 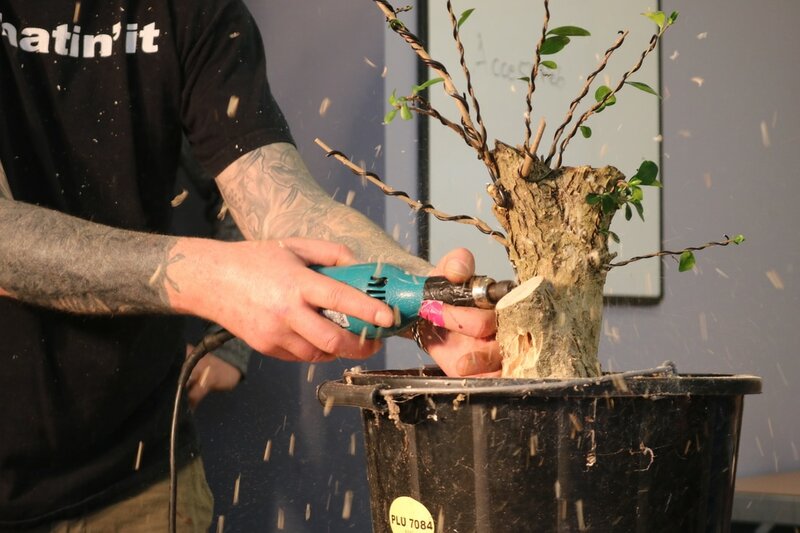 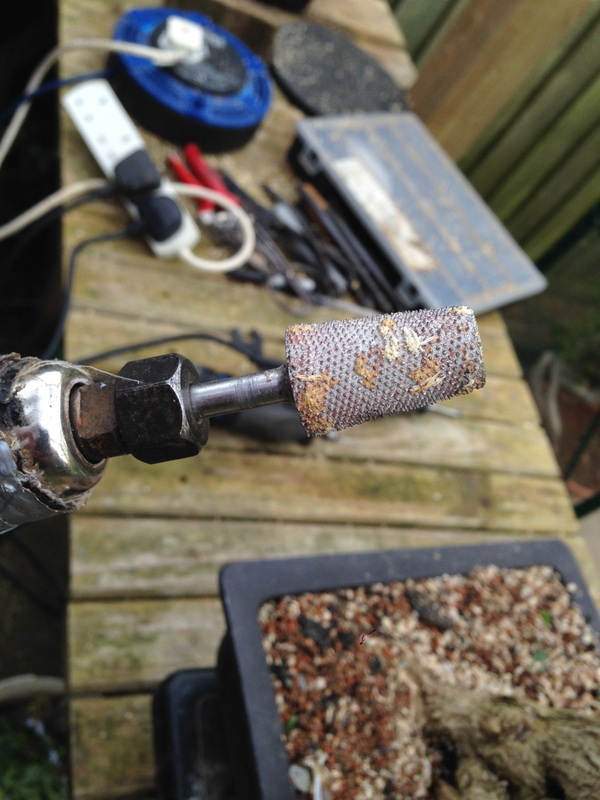 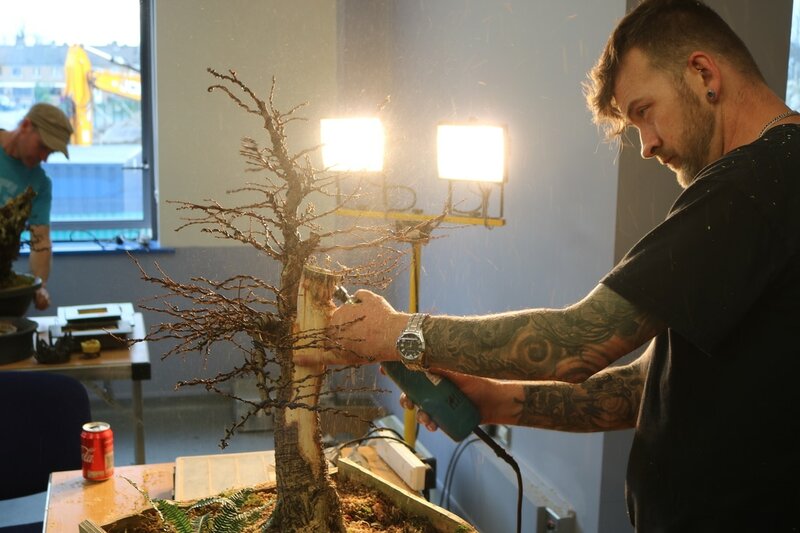 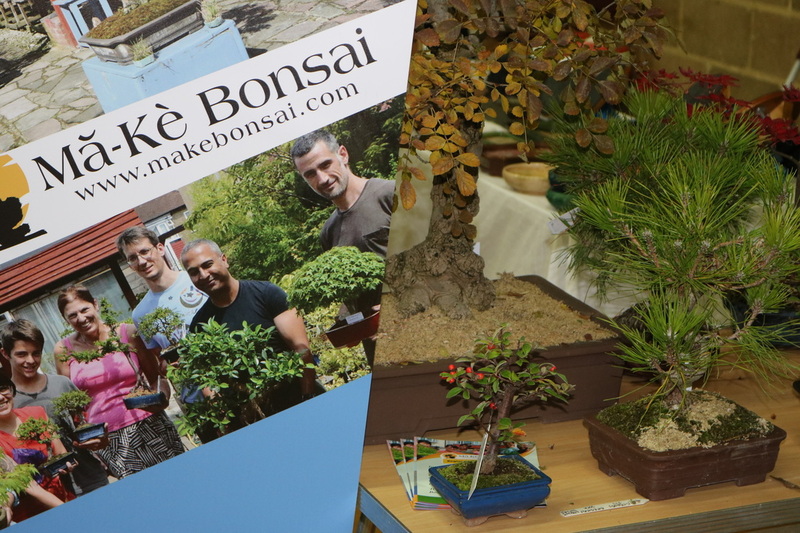 Last weekend, another fantastic day was had at the annual Heathrow Bonsai show. 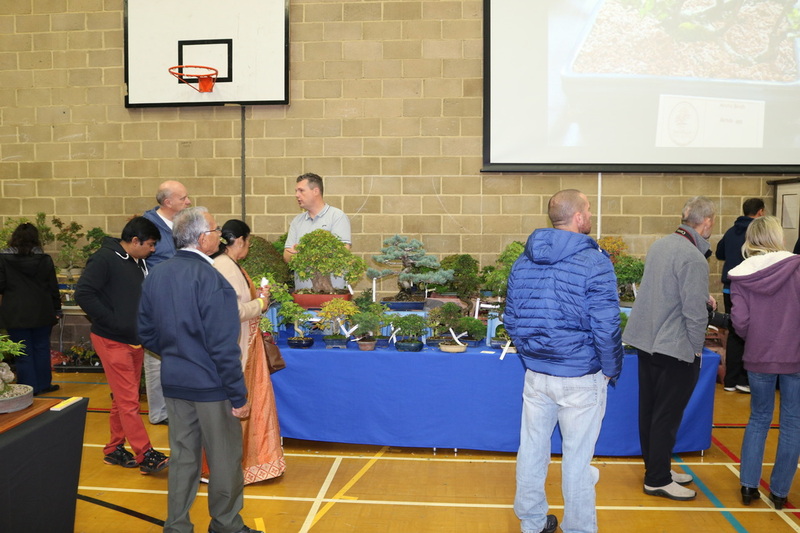 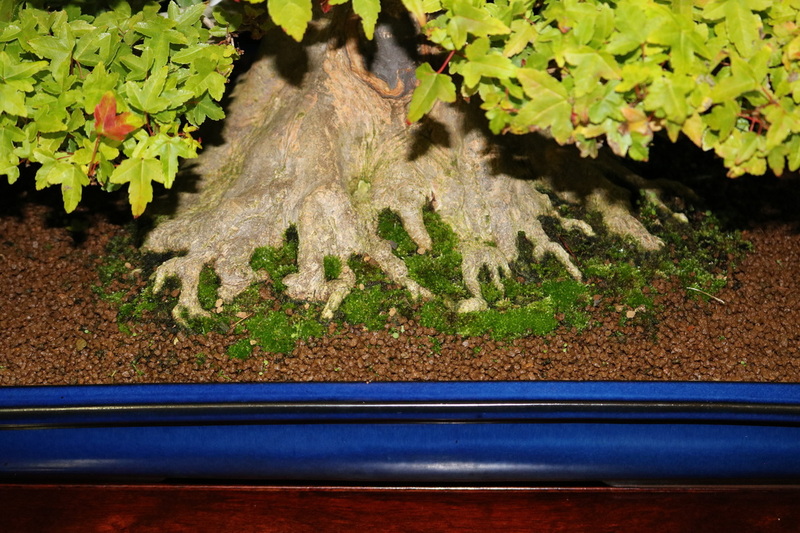 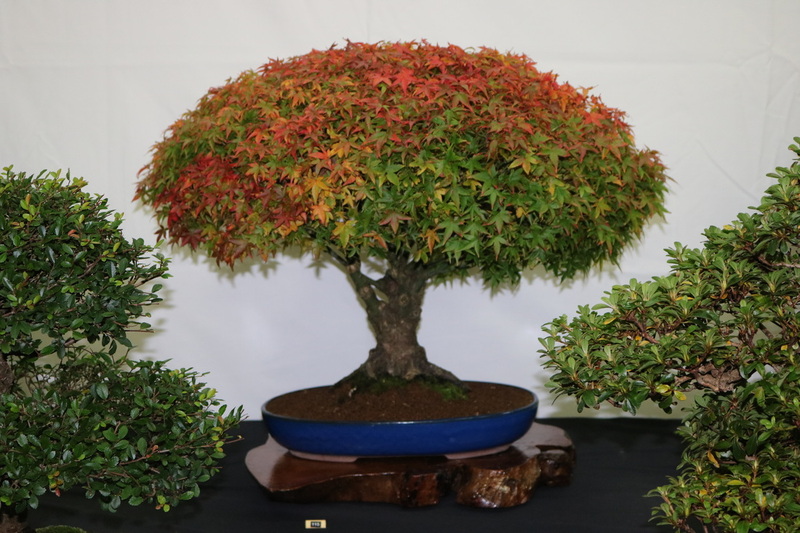 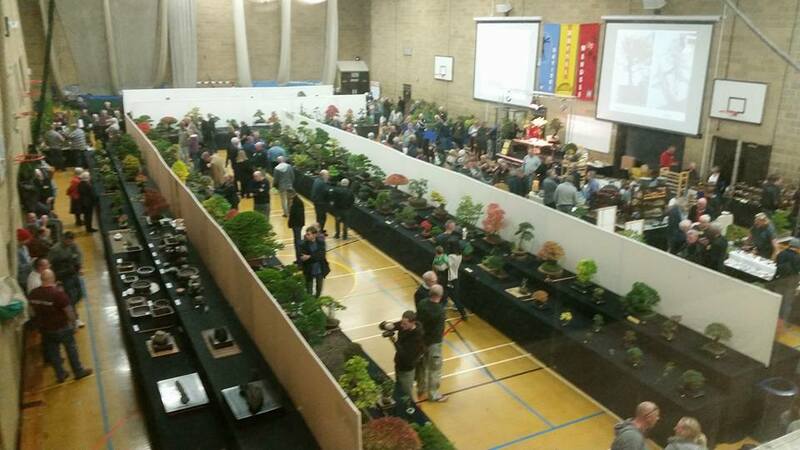 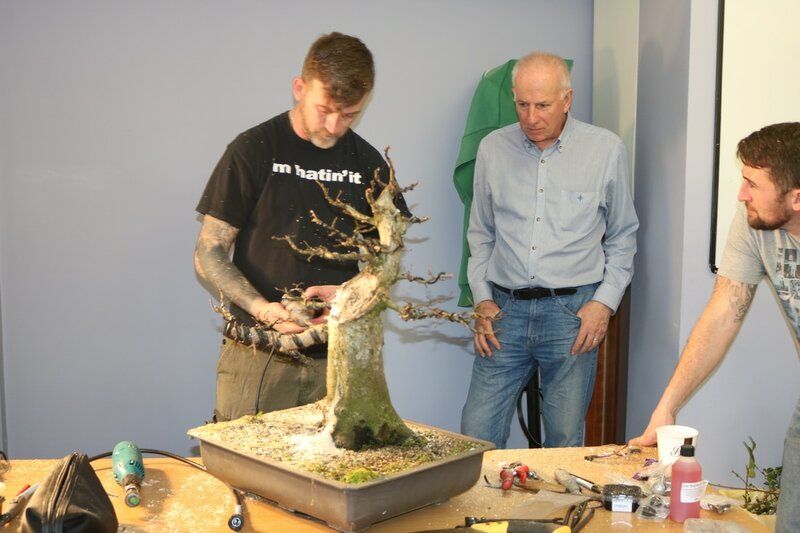 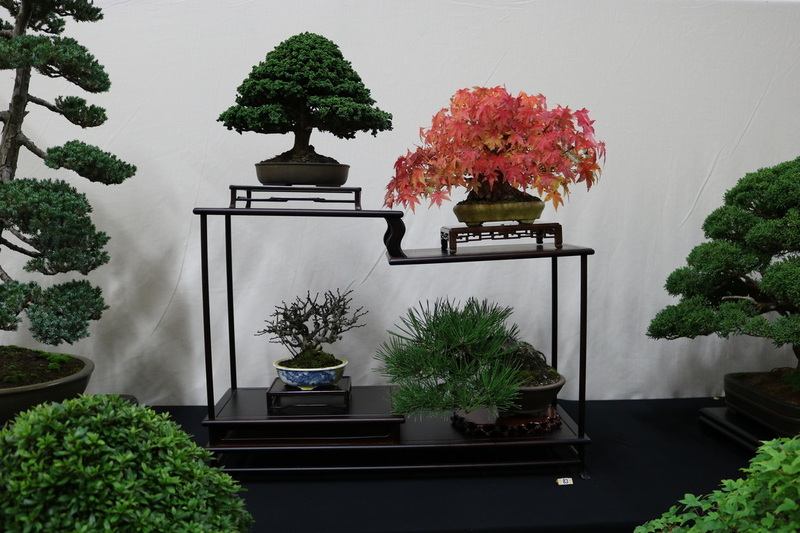 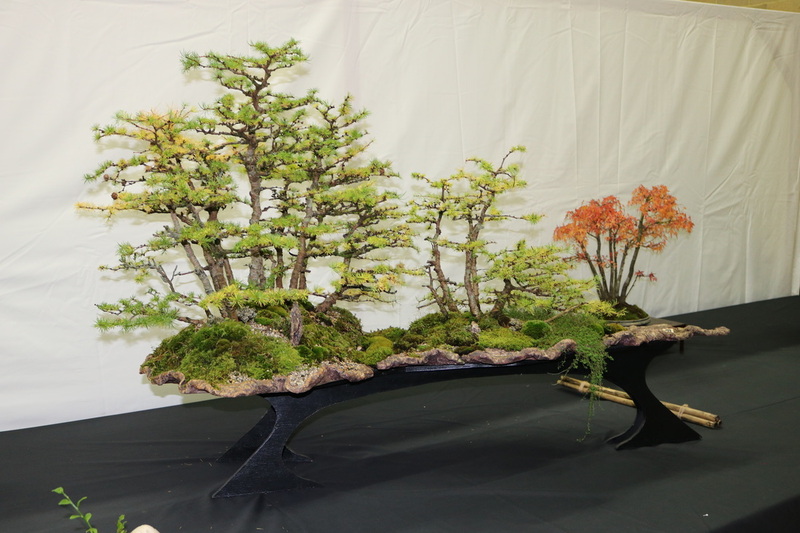 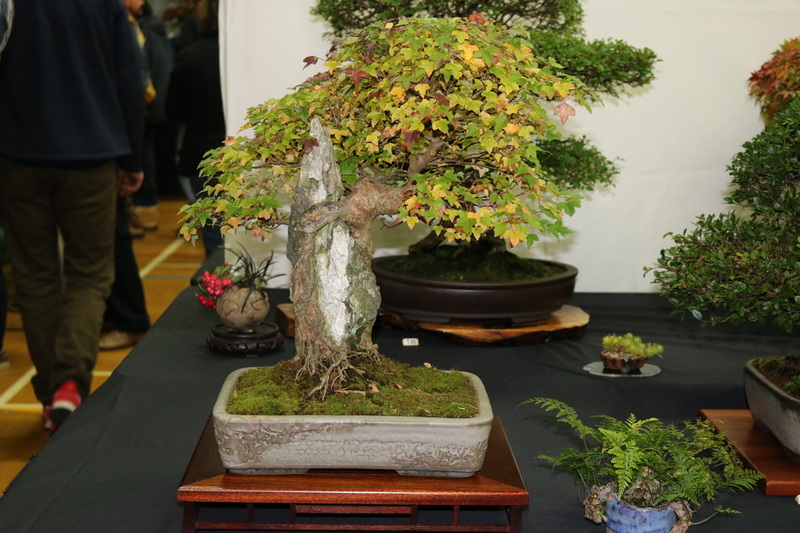 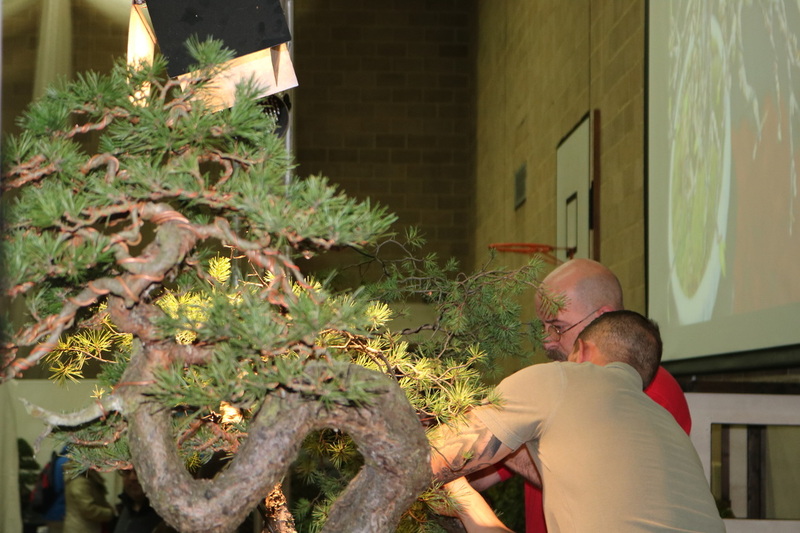 This exhibition has become extremely popular and trees were on display from 36 different bonsai clubs from across the U.K. 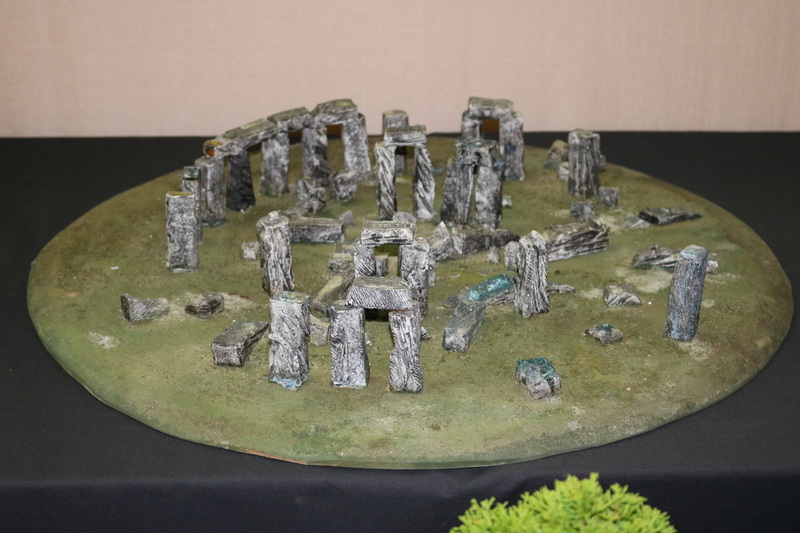 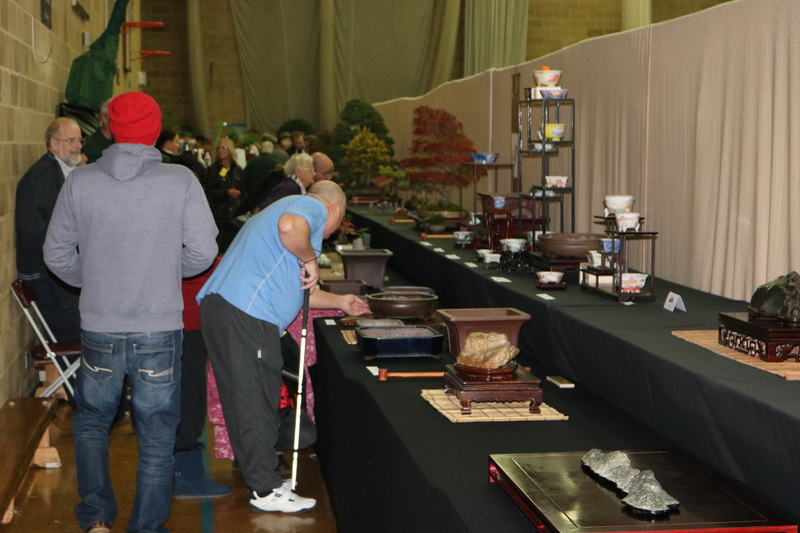 This is a show I have supported for a few years now and organisers Mark, Ming and their helpers are to be thoroughly commended on the superb job they perform each year. 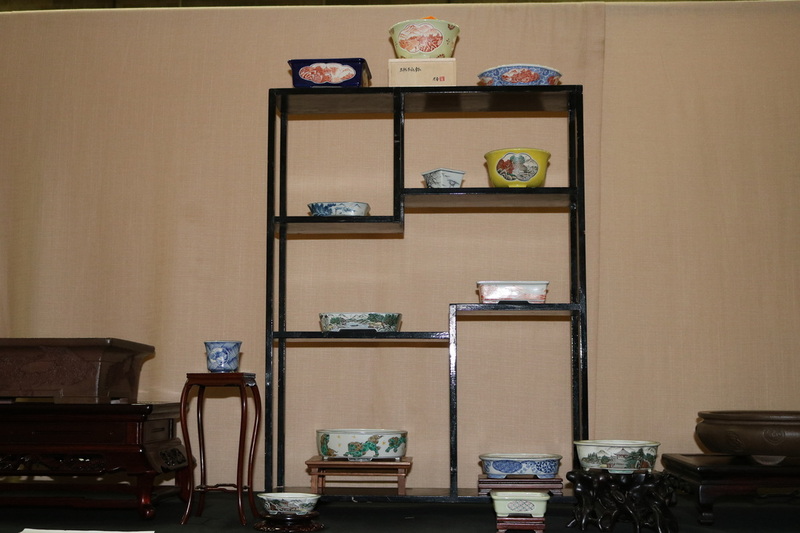 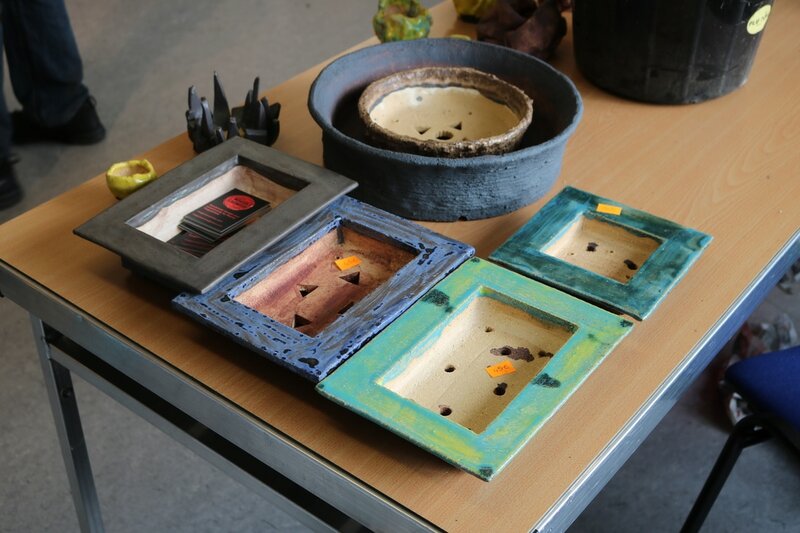 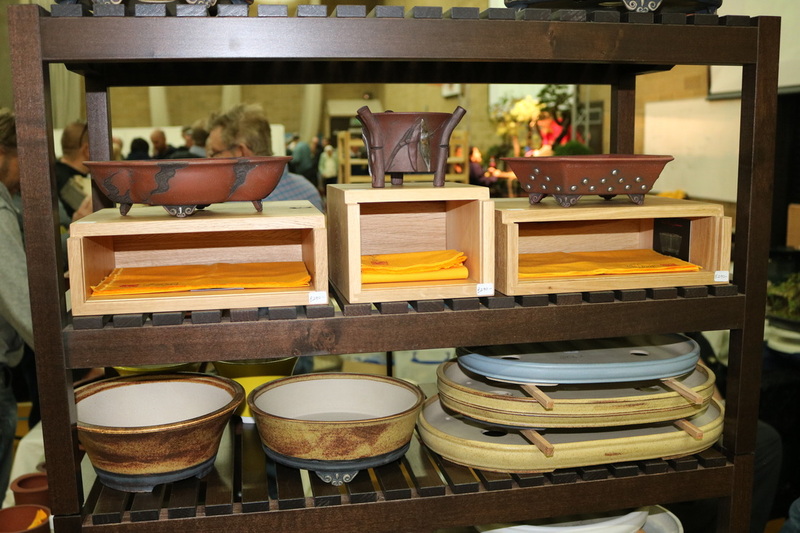 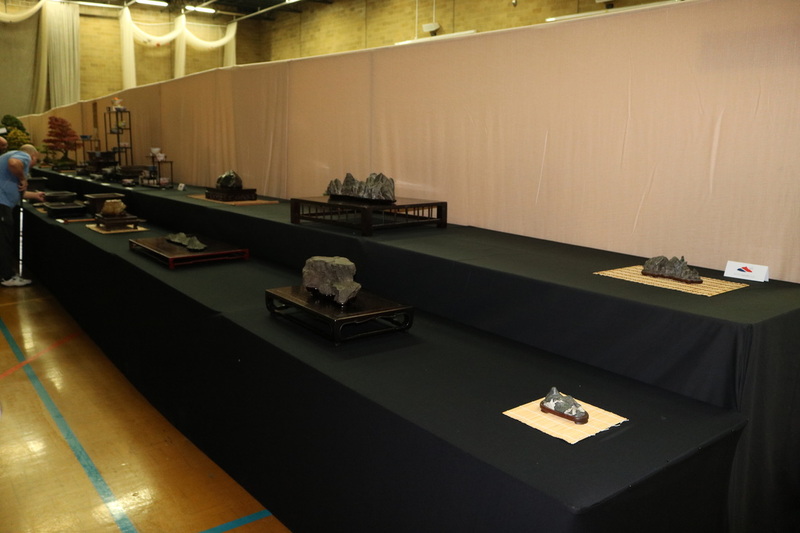 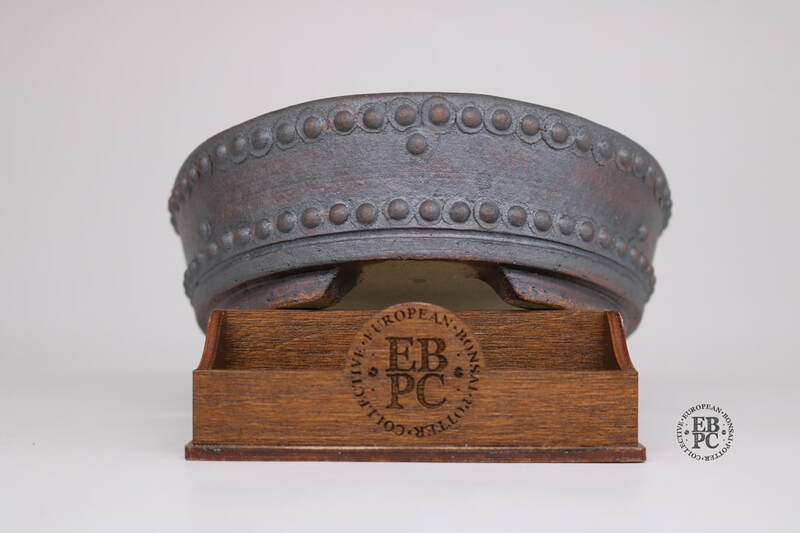 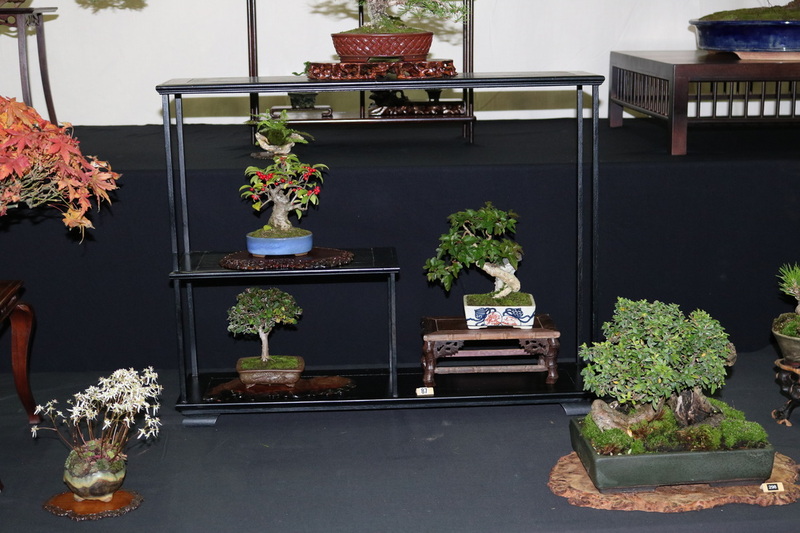 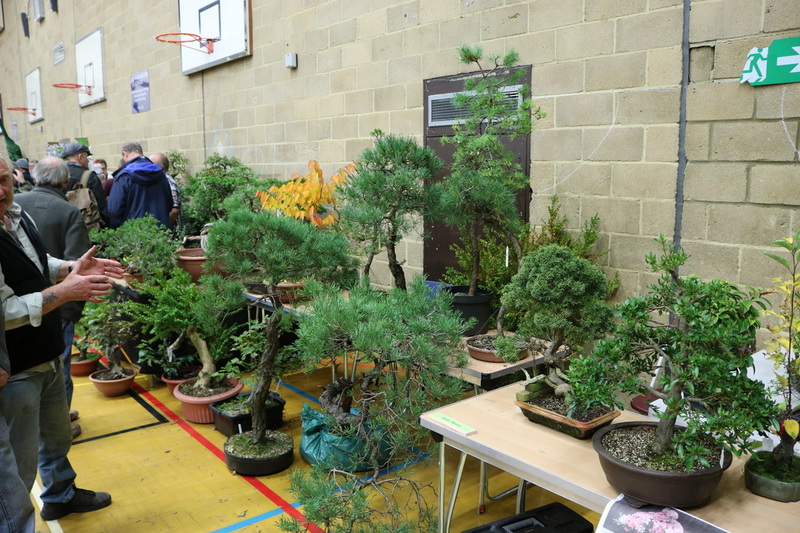 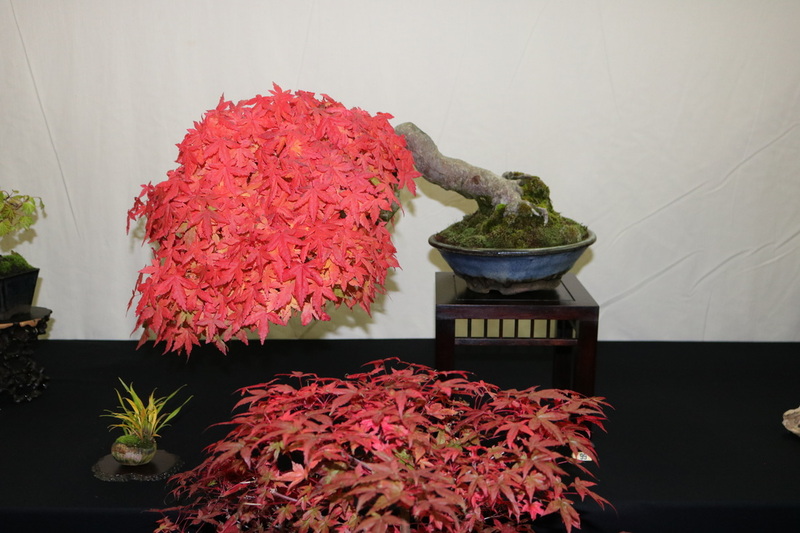 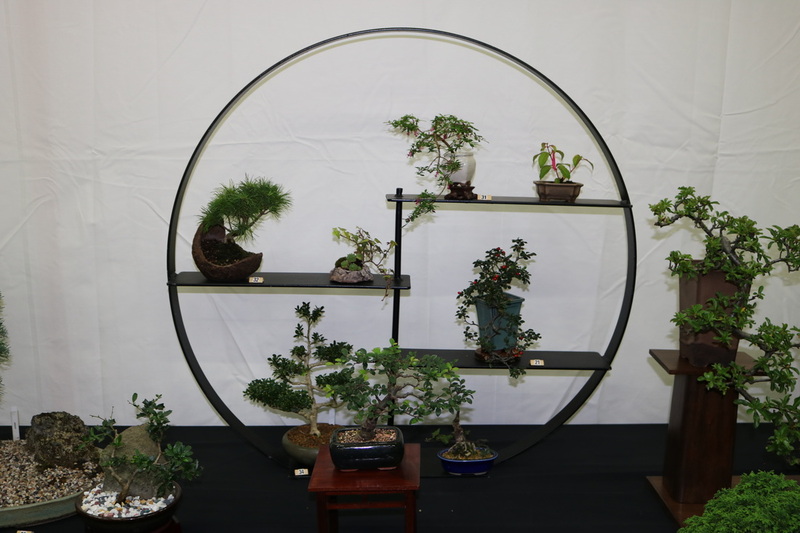 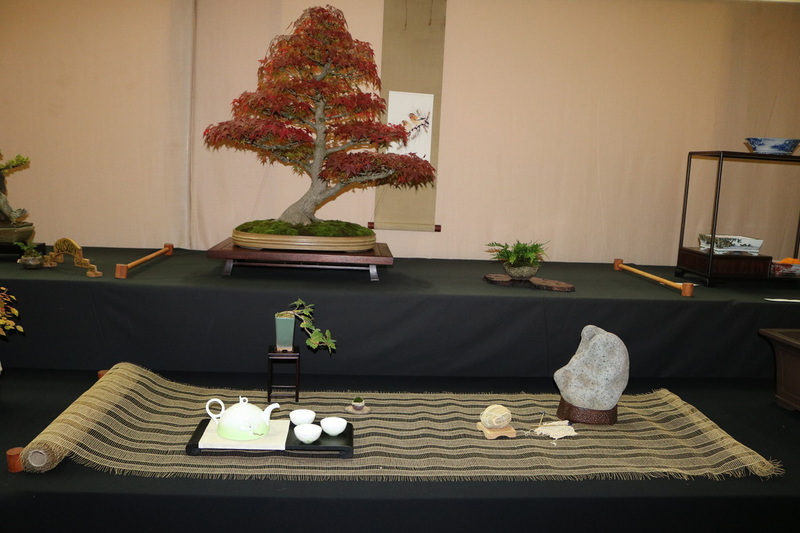 I attended the show trading for the EBPC, and displaying with Maidstone Bonsai Society, so was rushed off my feet all day. 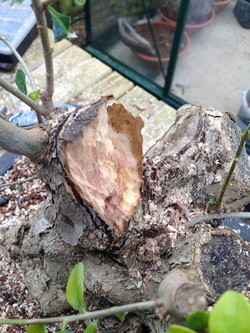 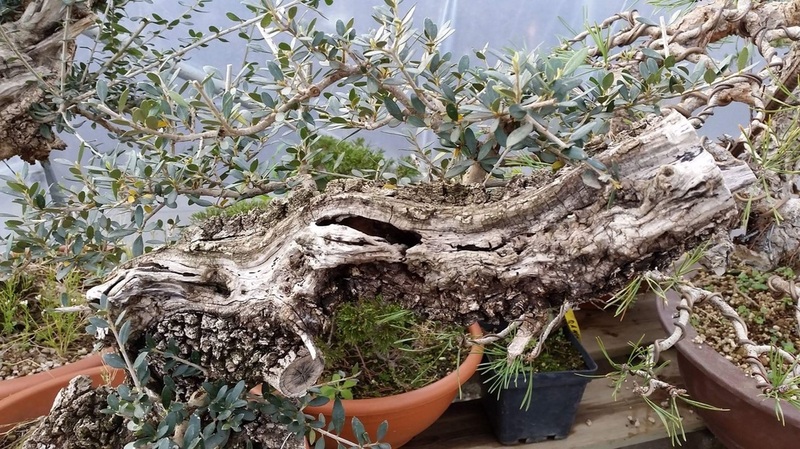 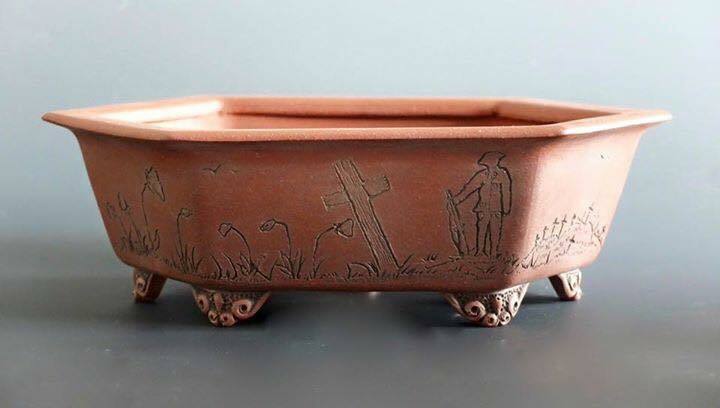 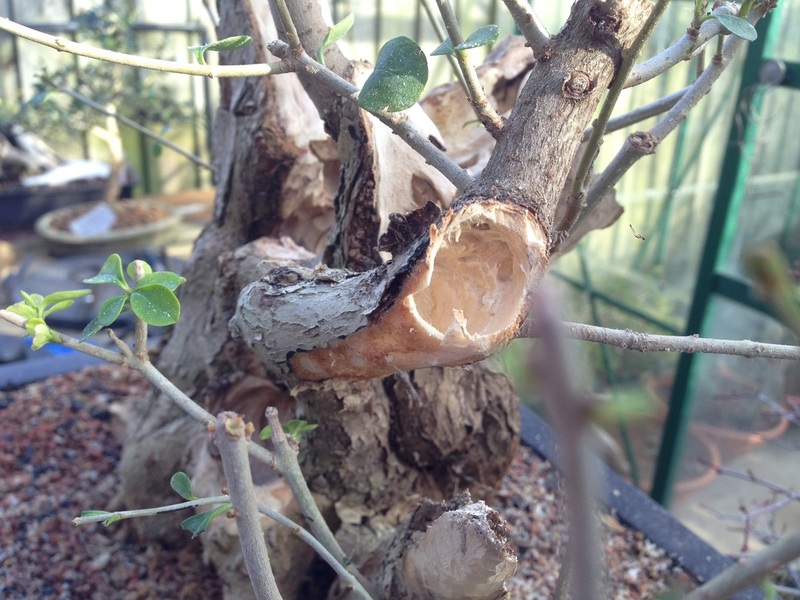 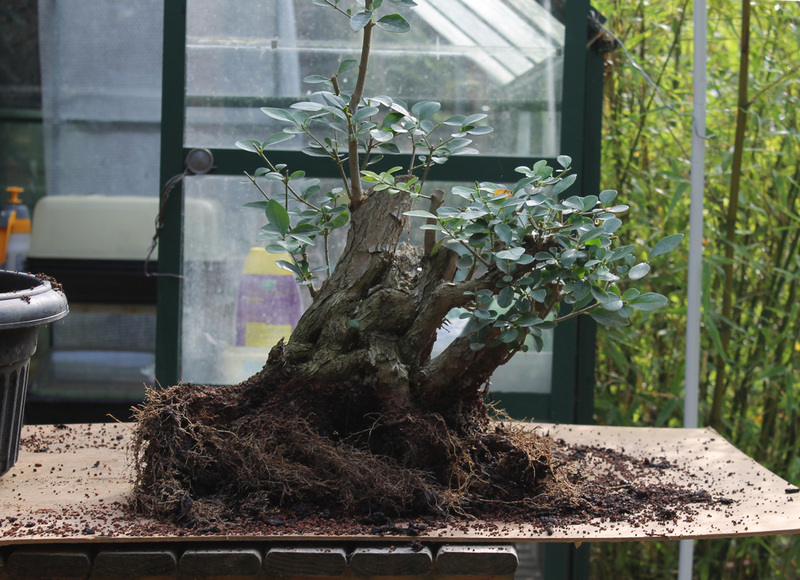 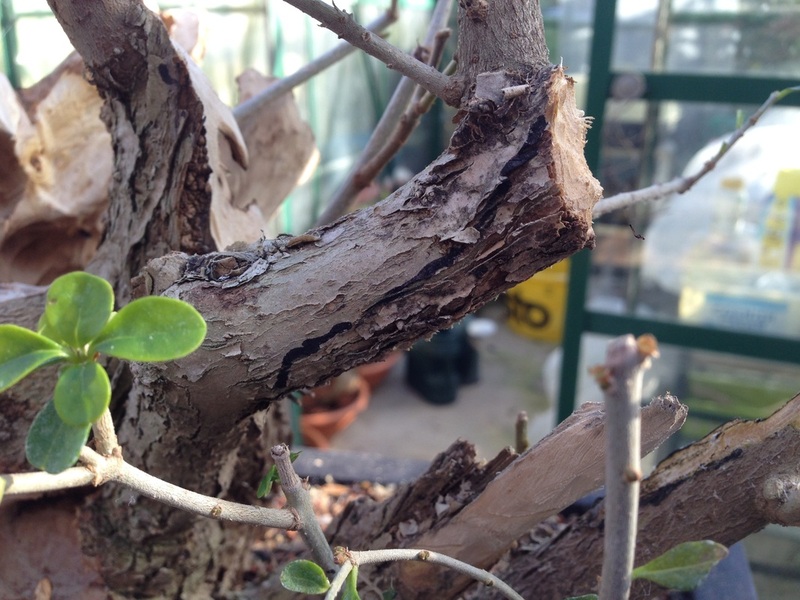 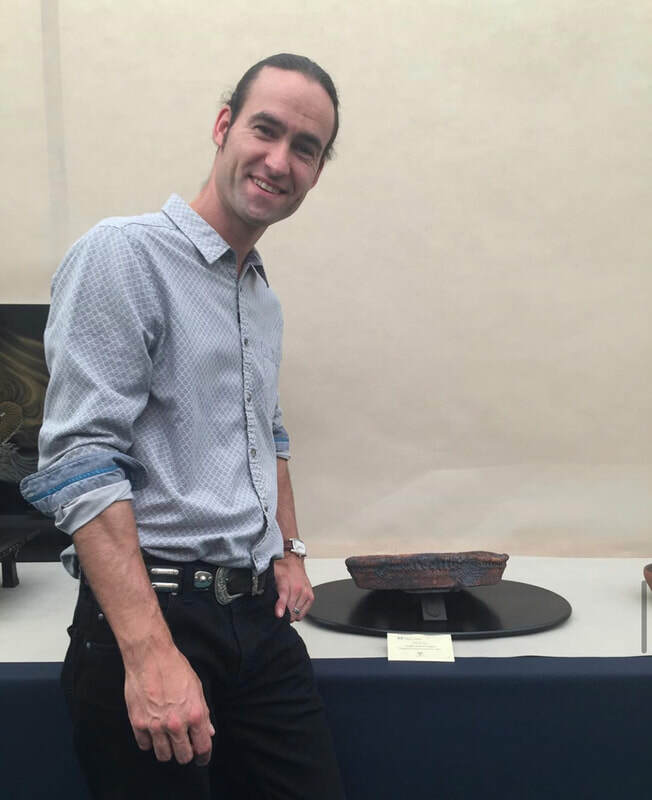 It wasn't until packing away the remainder of the pots that someone told me that my Olea Sylvestris had taken joint 1st place for the exhibitor's choice 'Best in Show'. 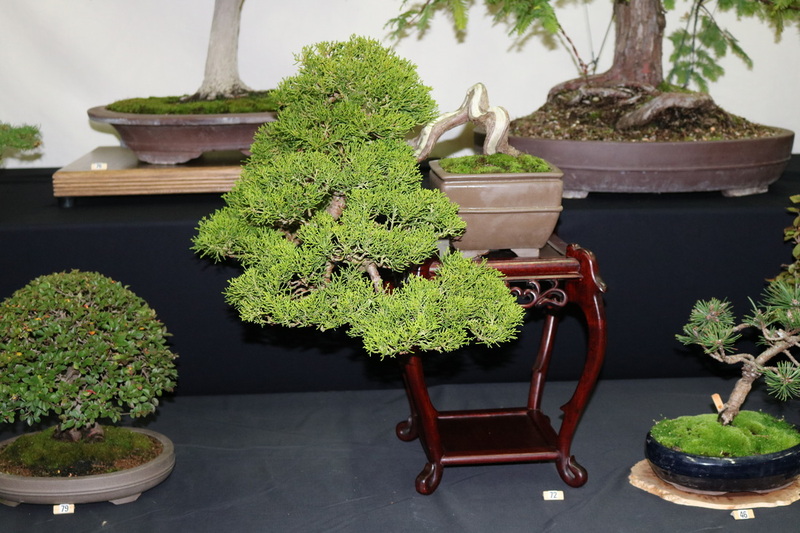 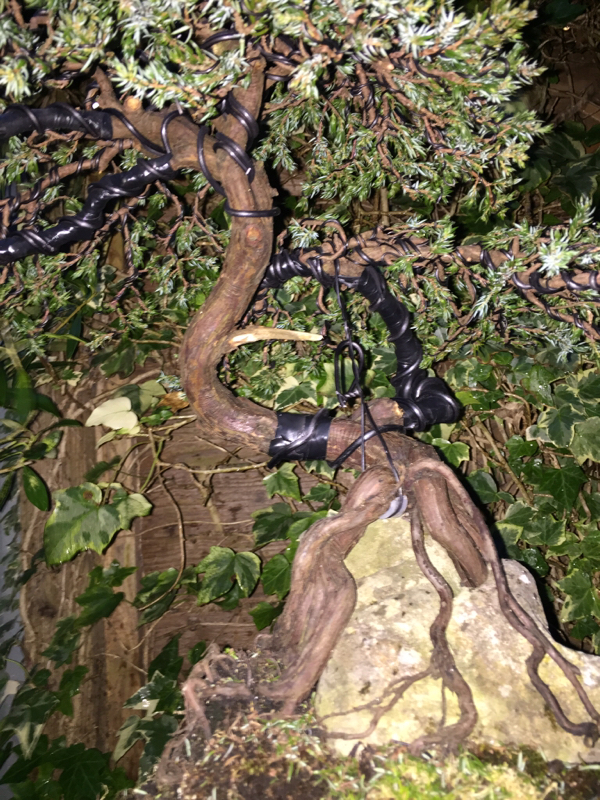 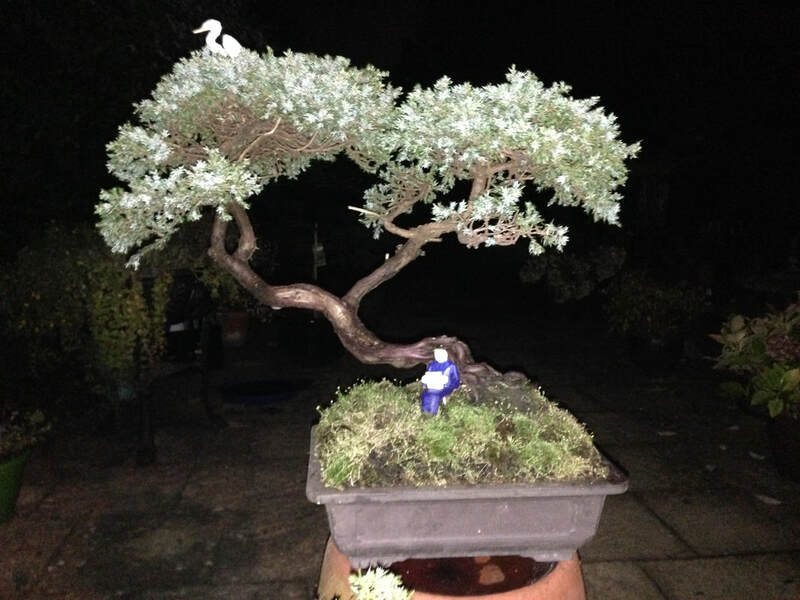 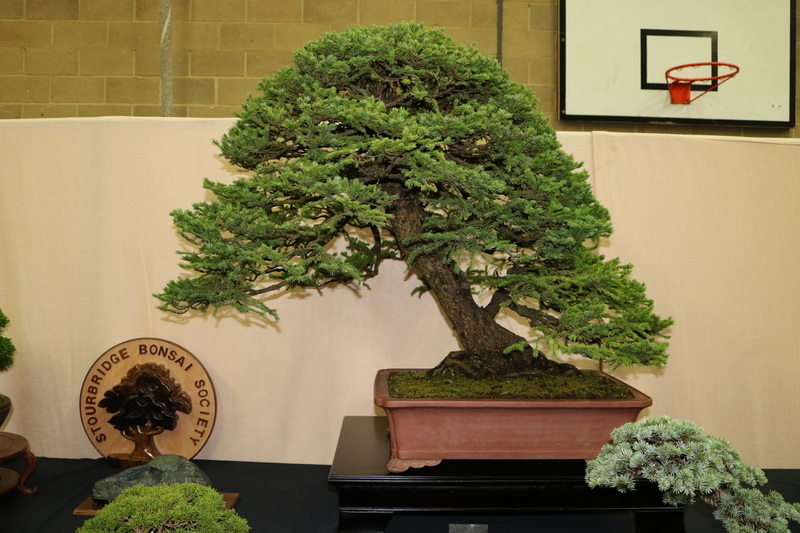 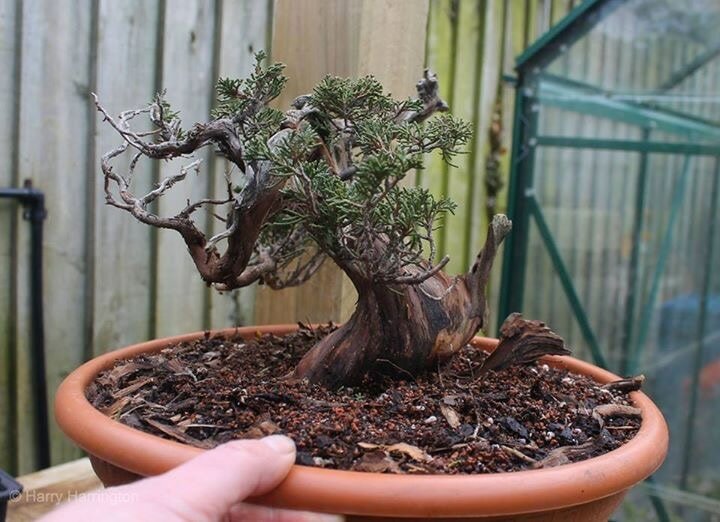 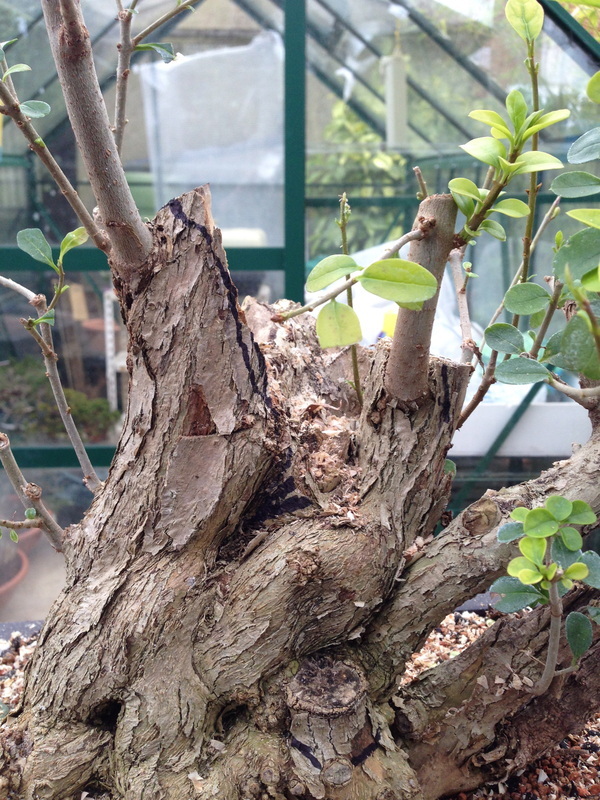 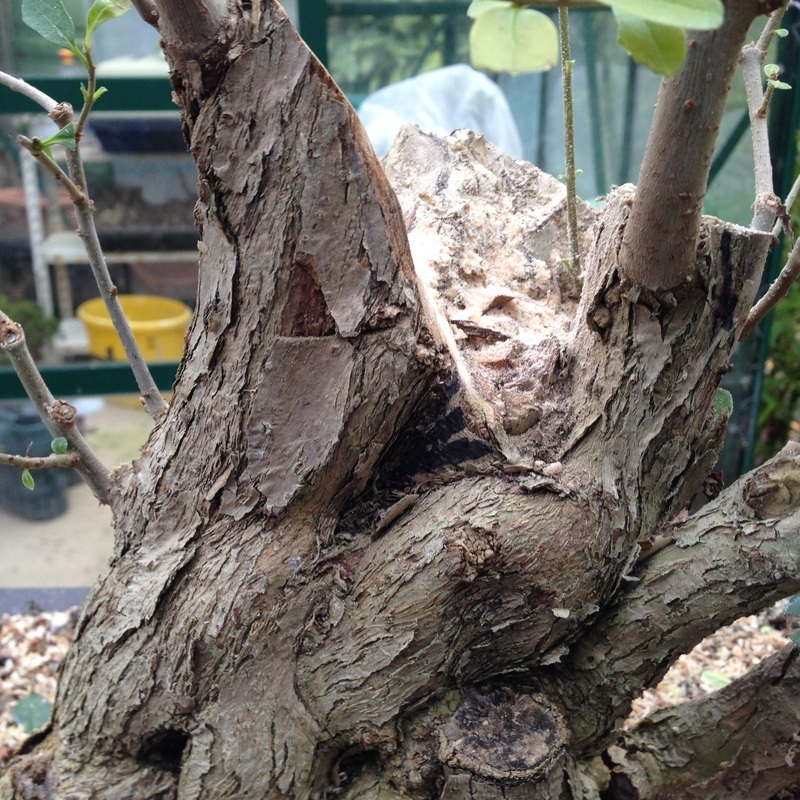 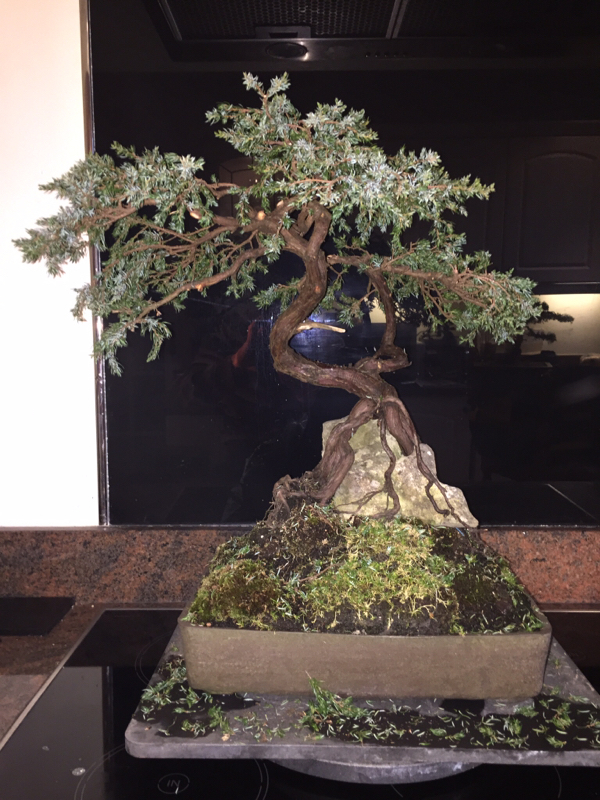 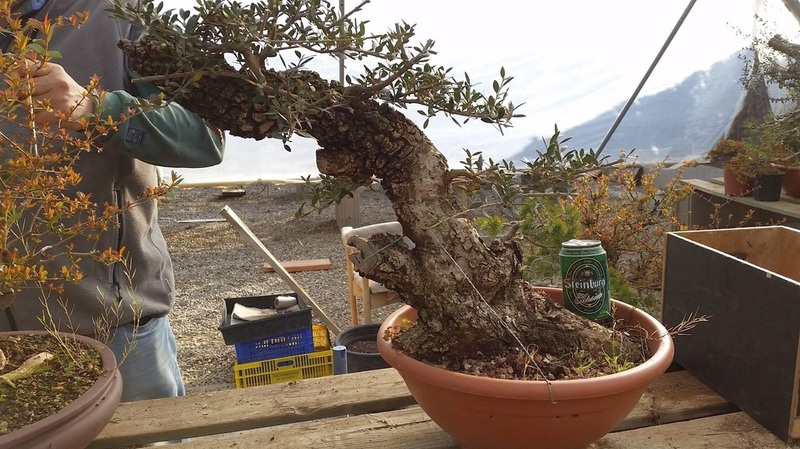 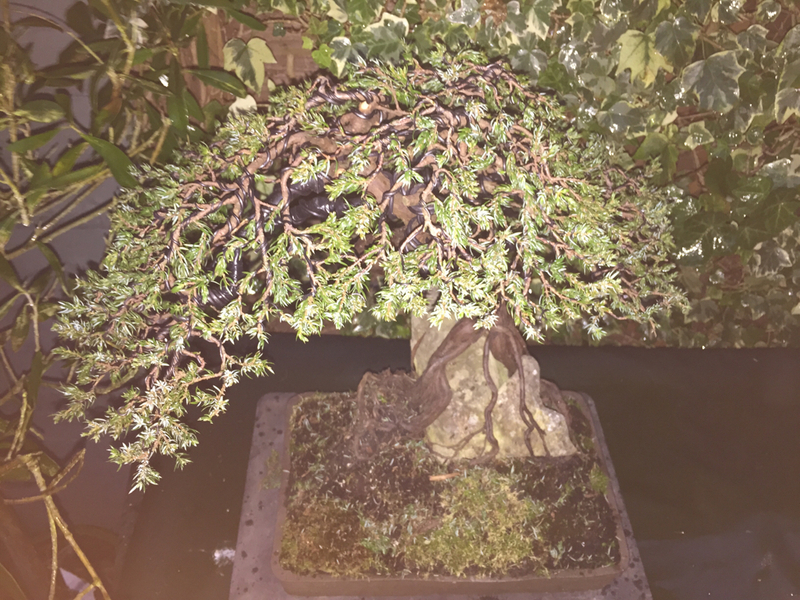 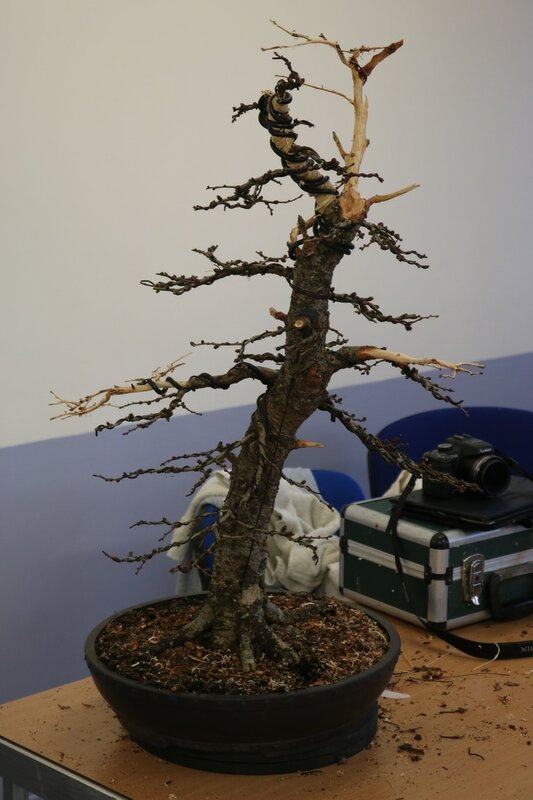 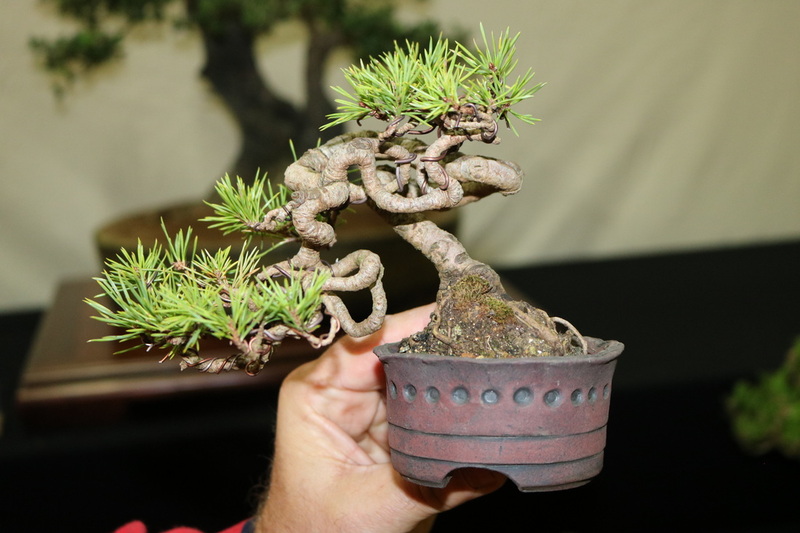 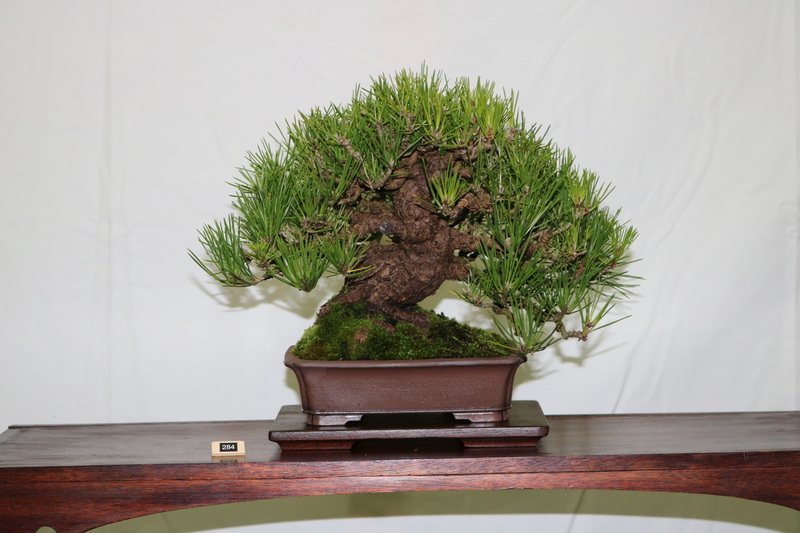 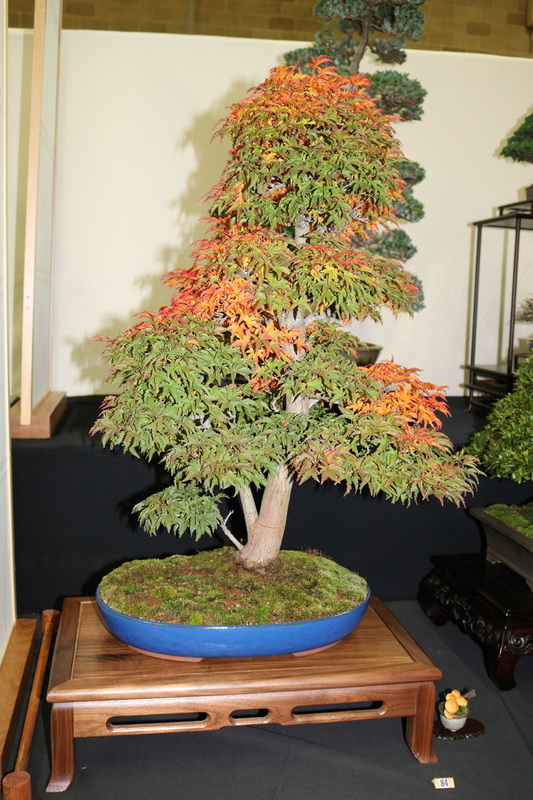 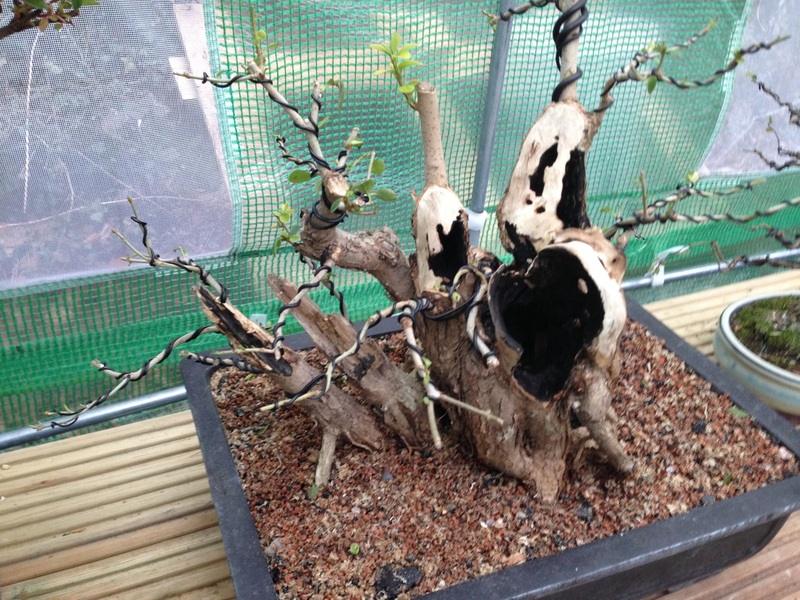 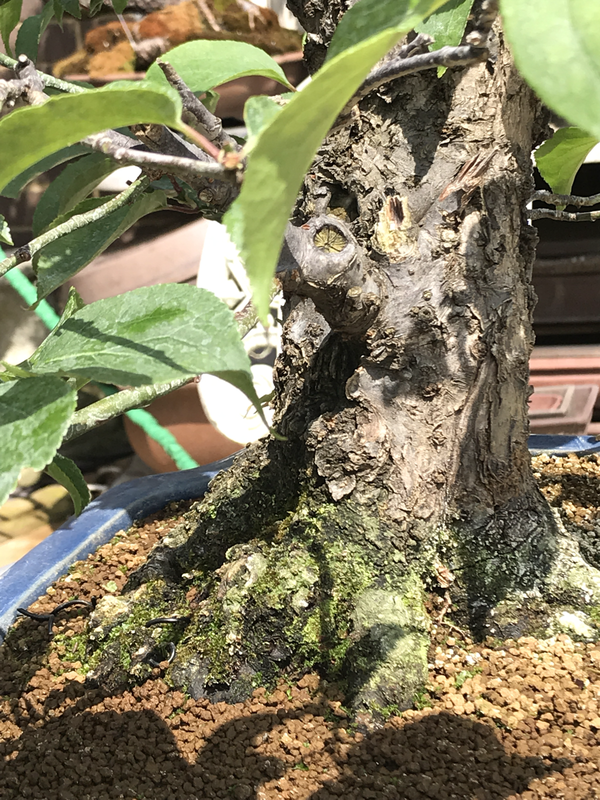 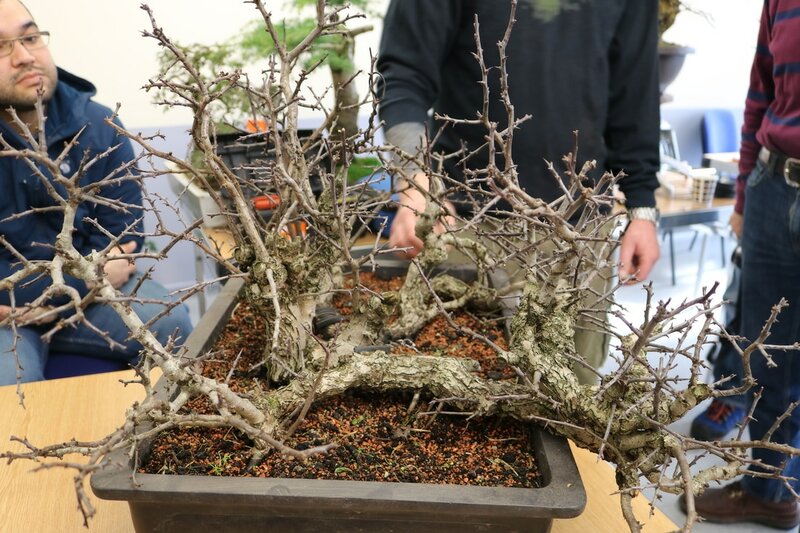 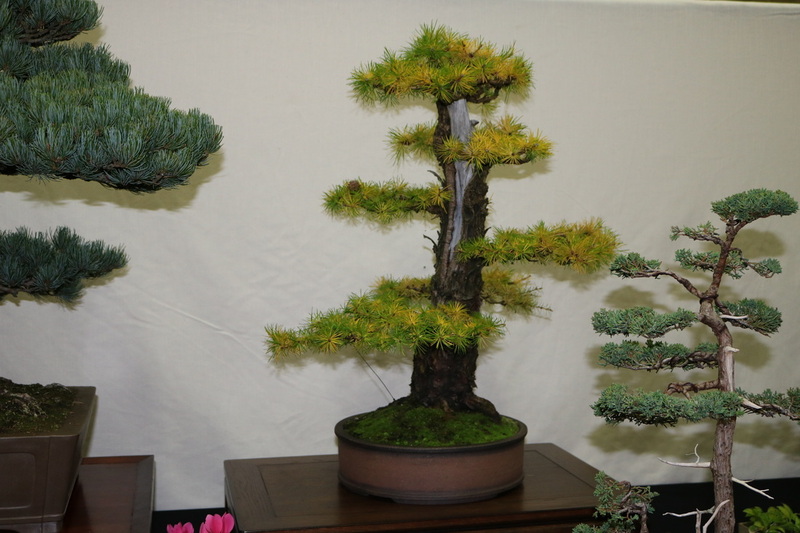 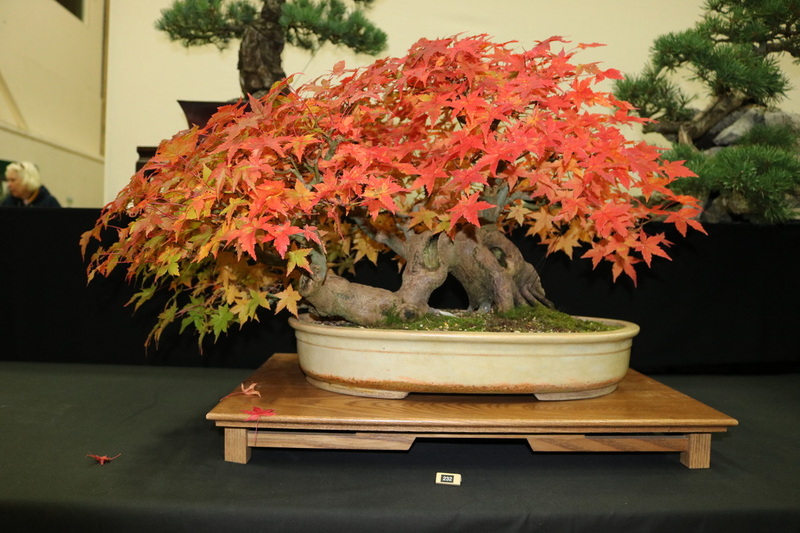 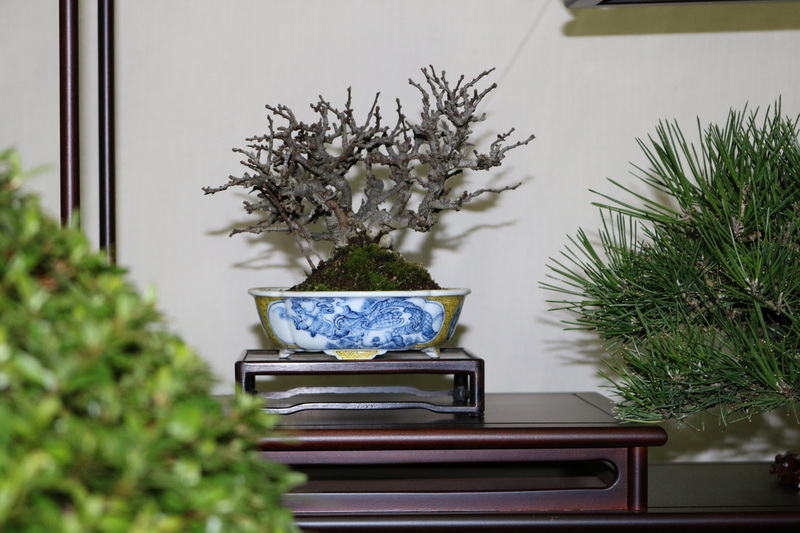 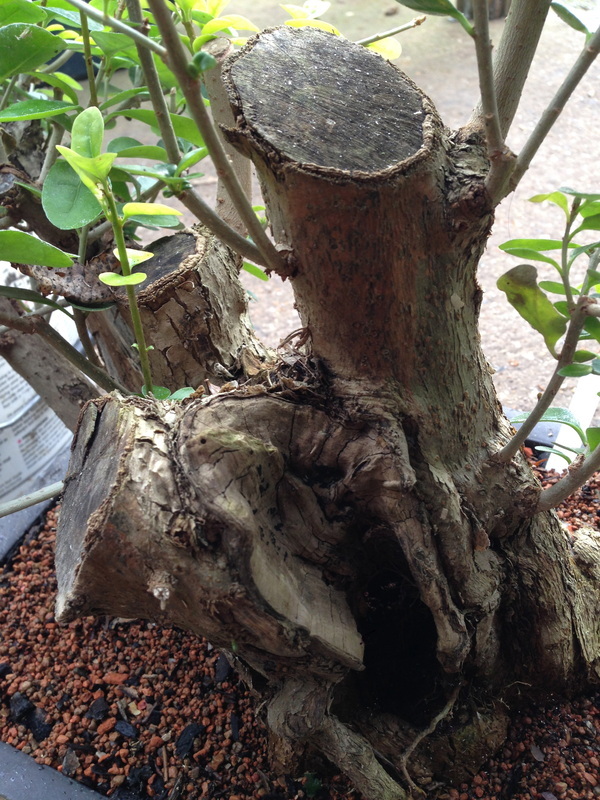 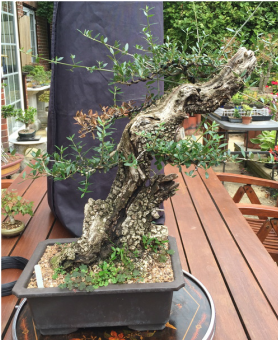 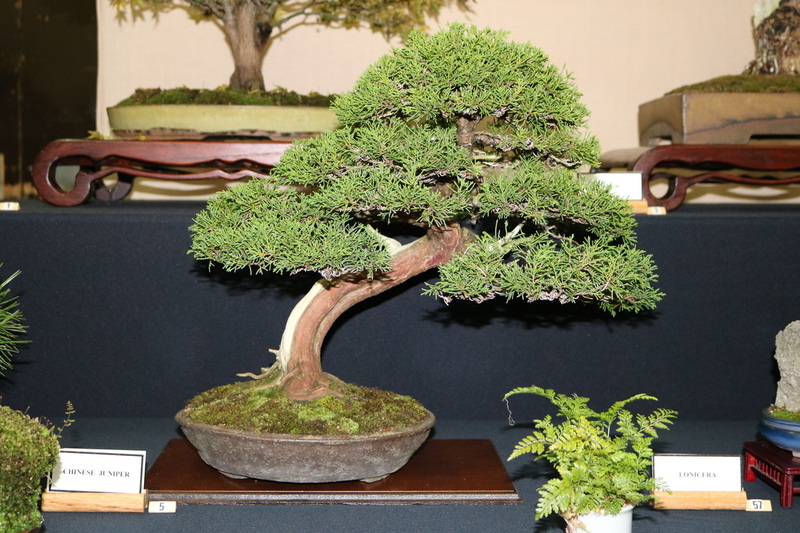 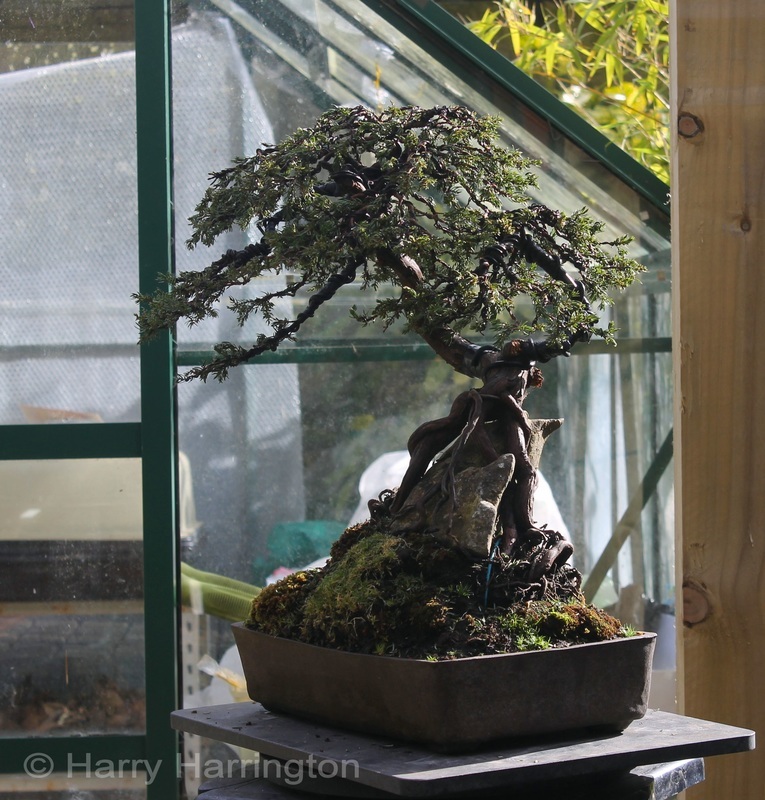 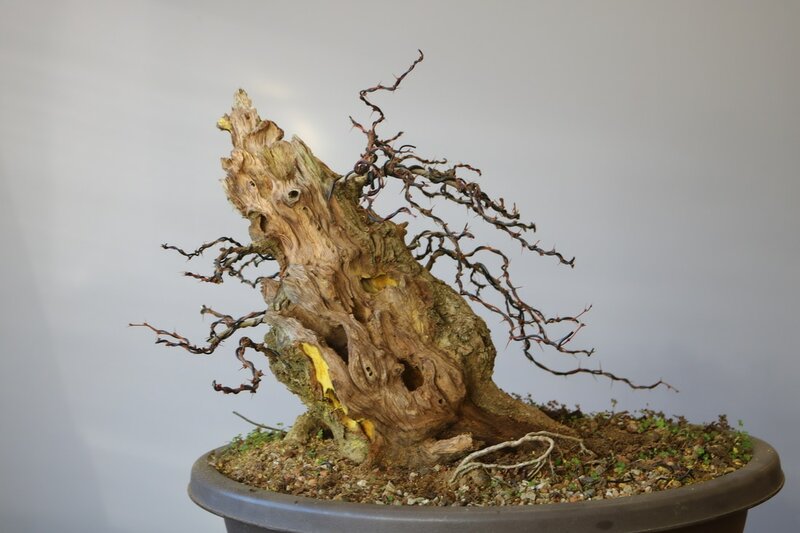 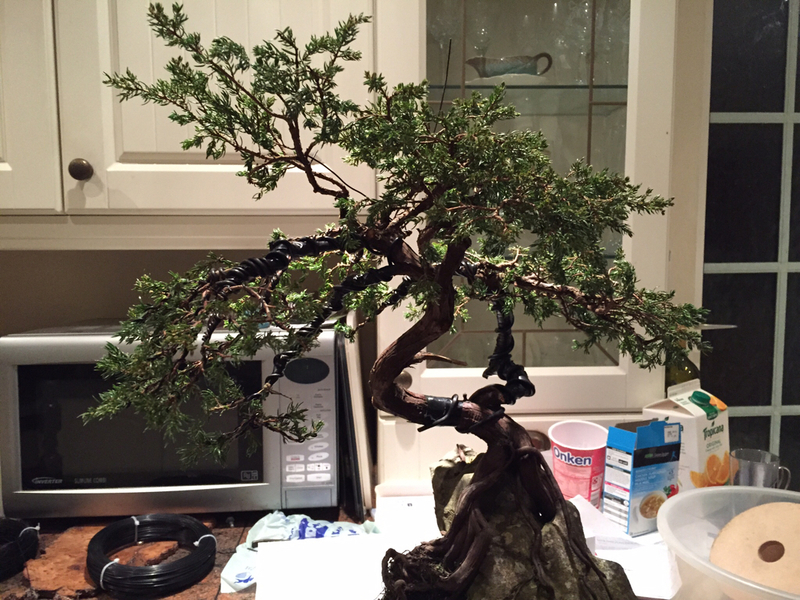 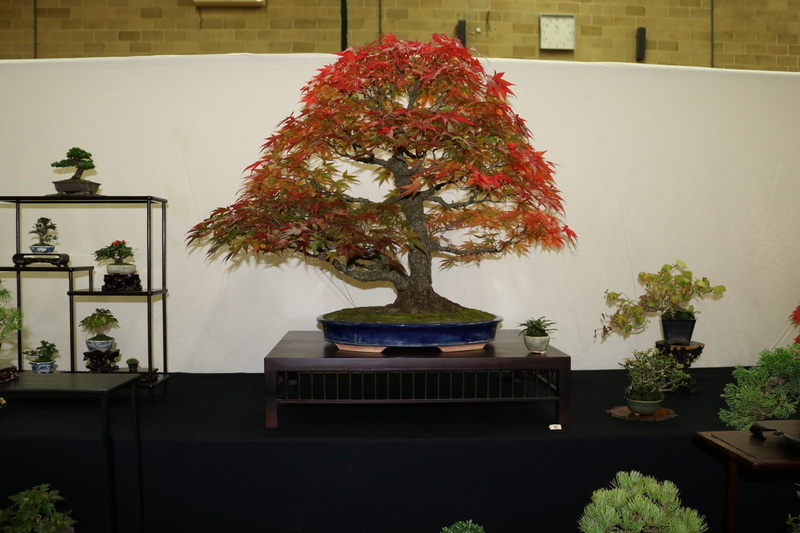 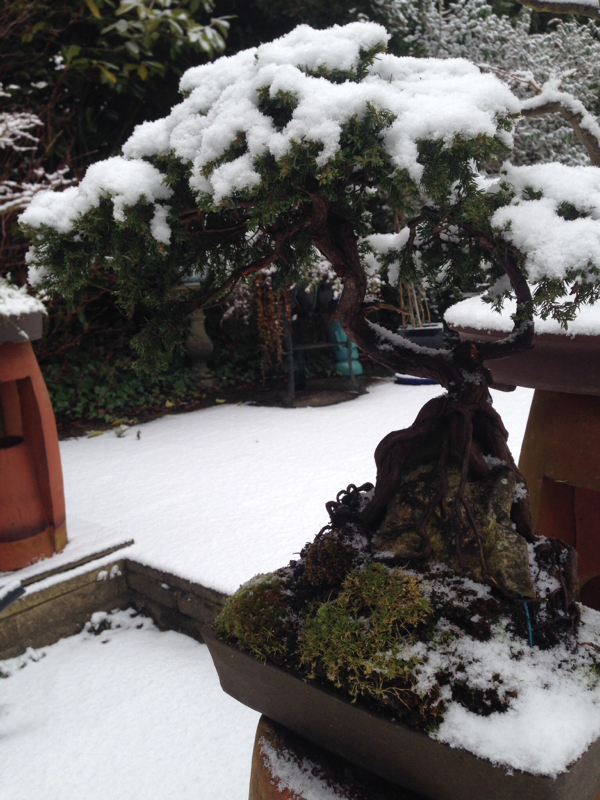 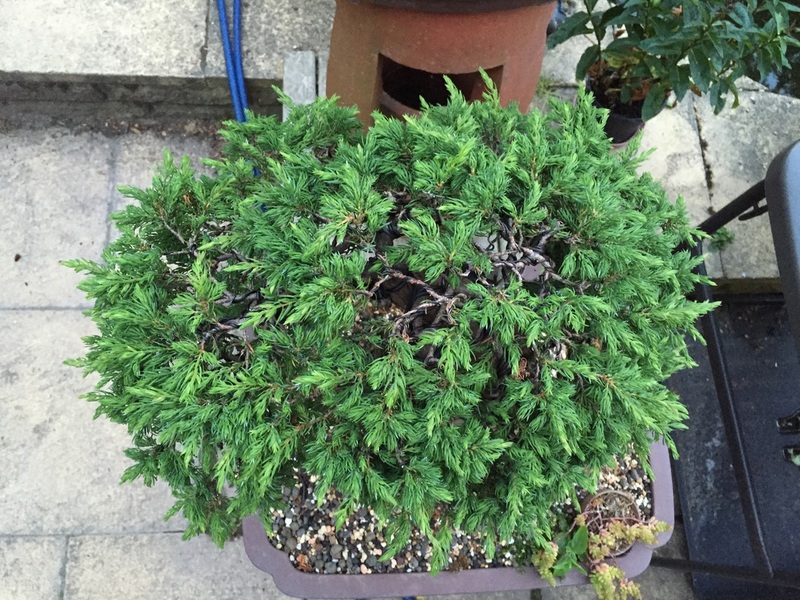 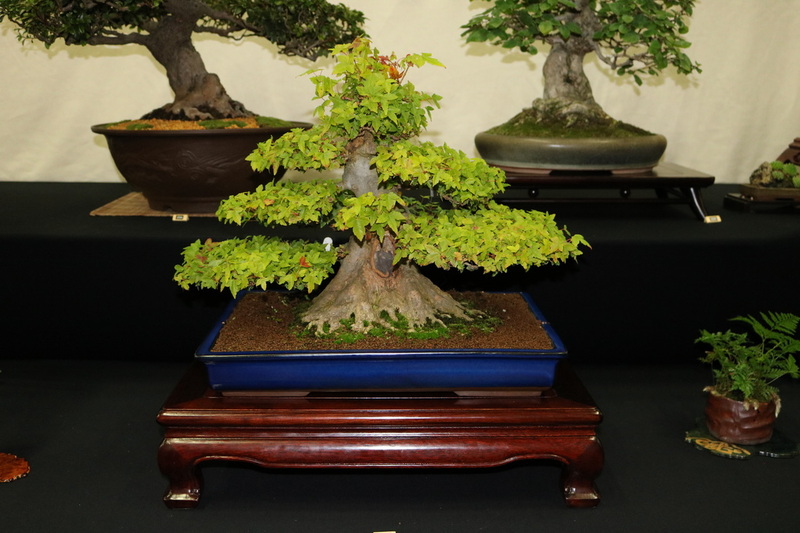 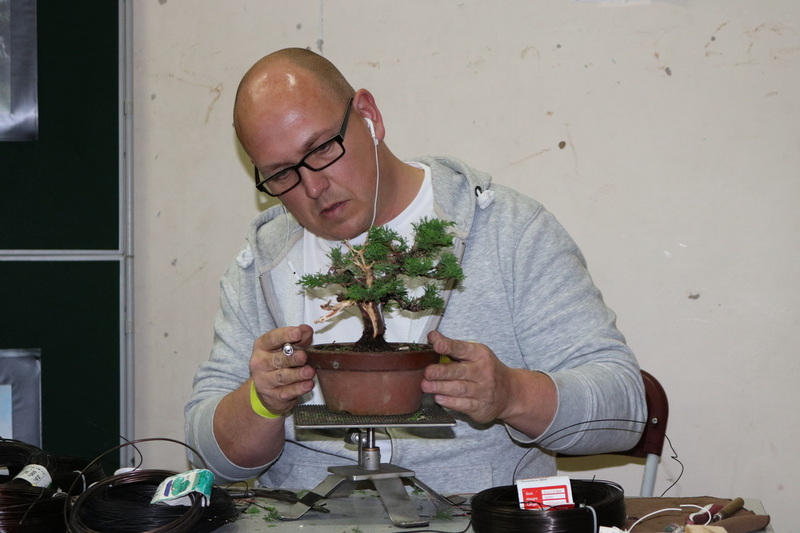 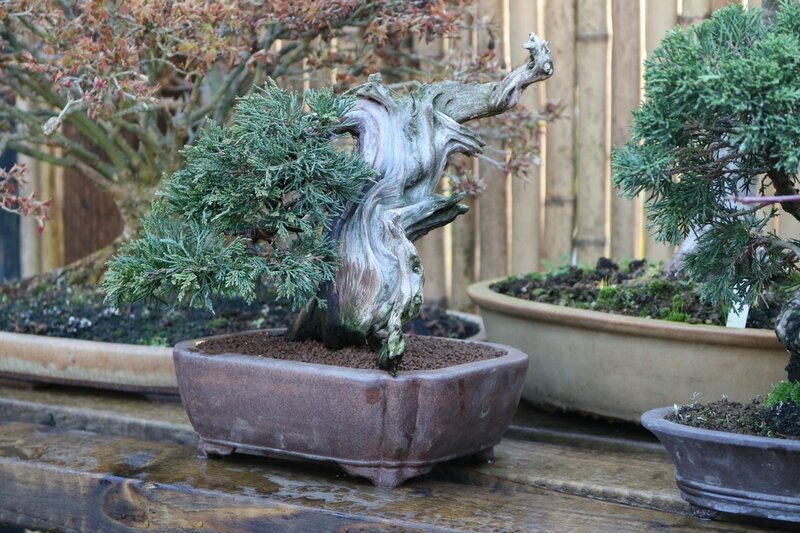 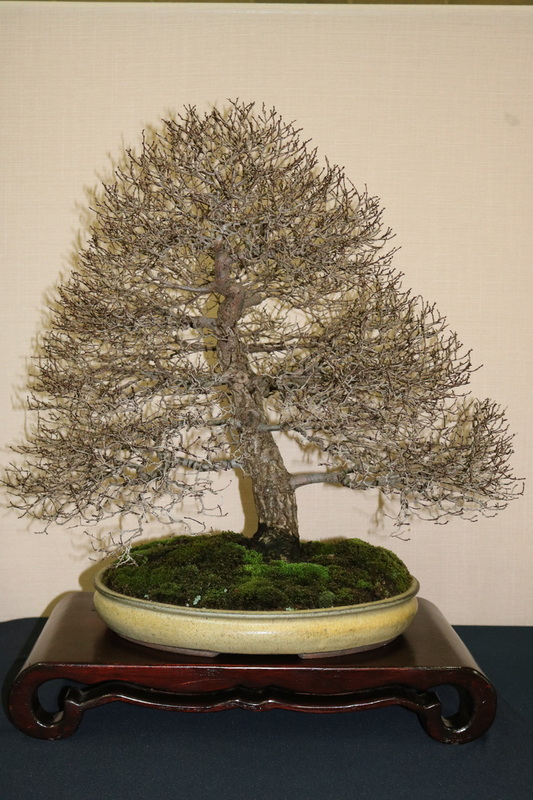 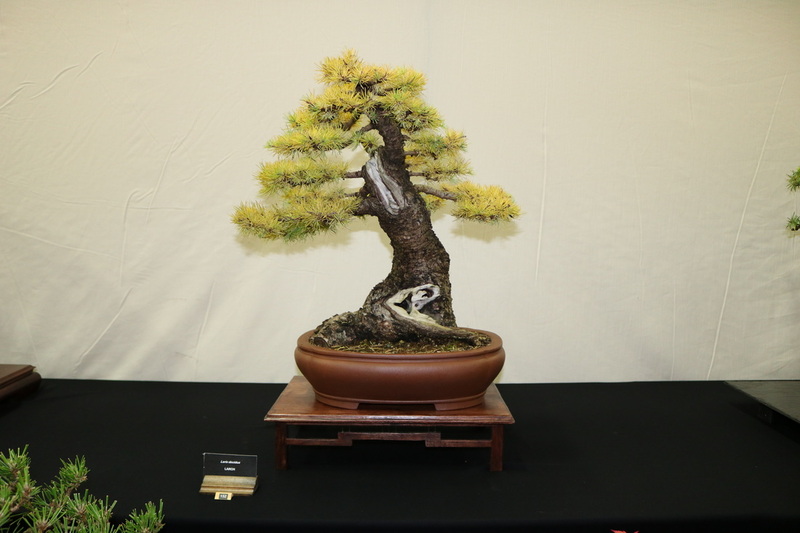 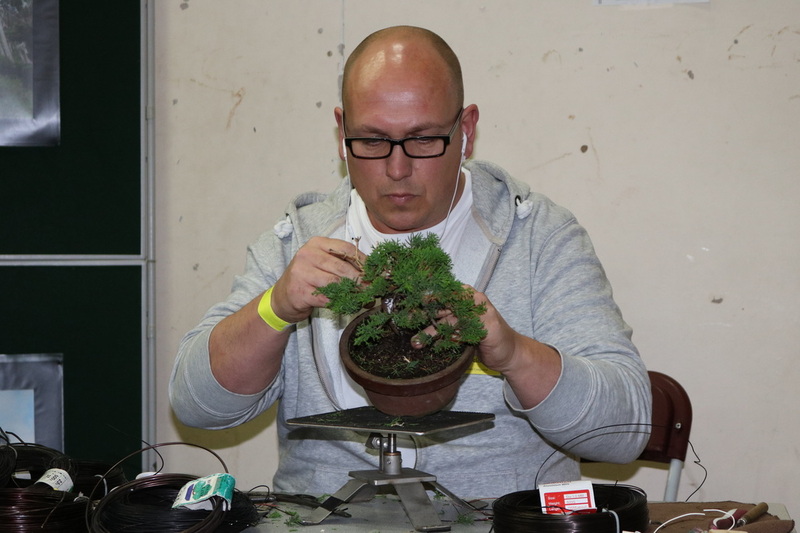 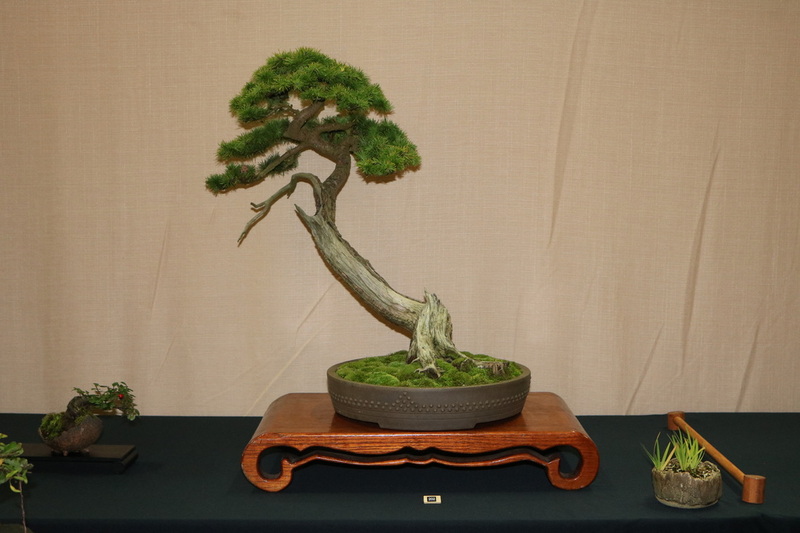 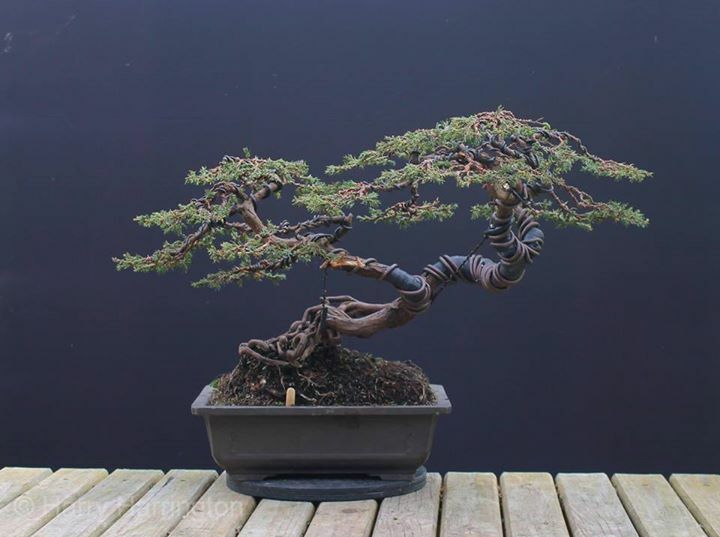 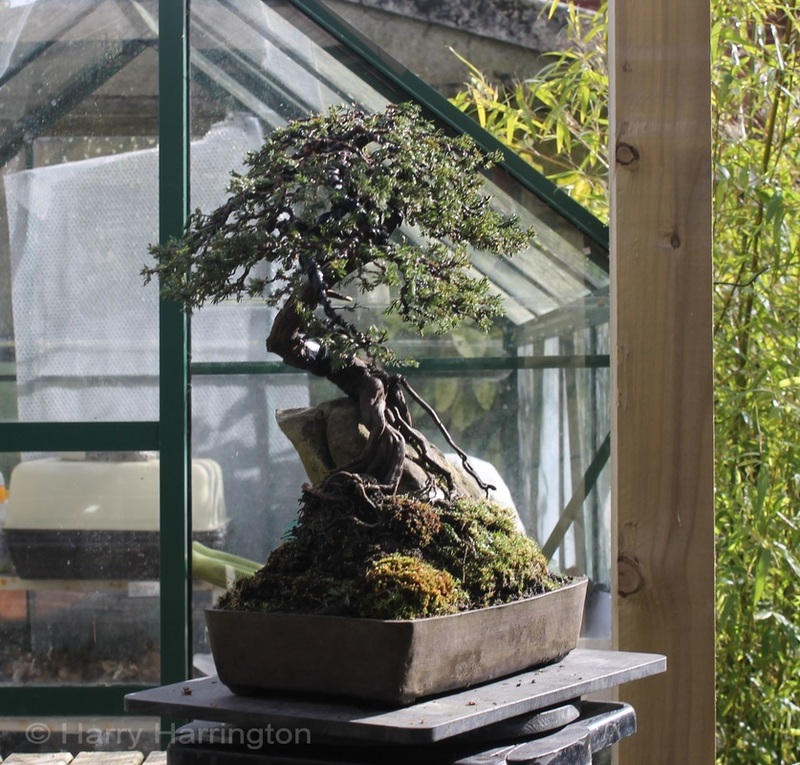 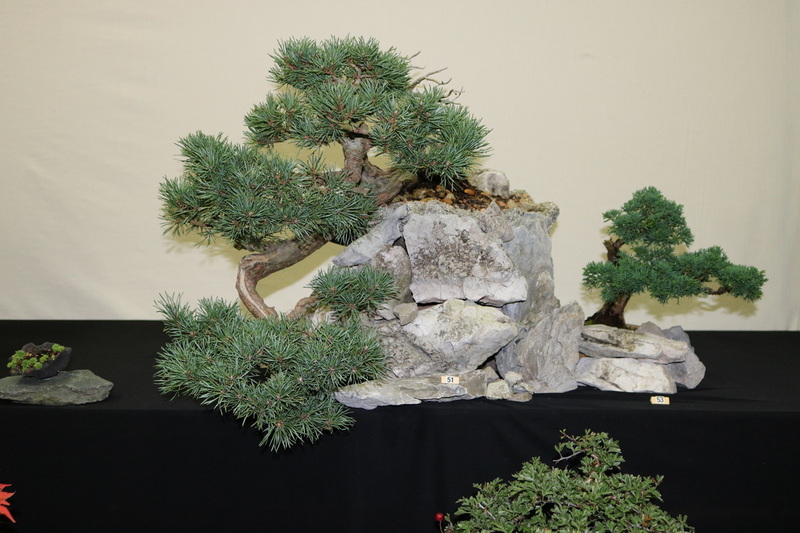 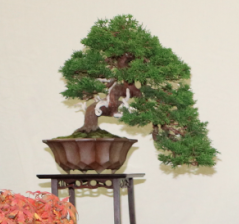 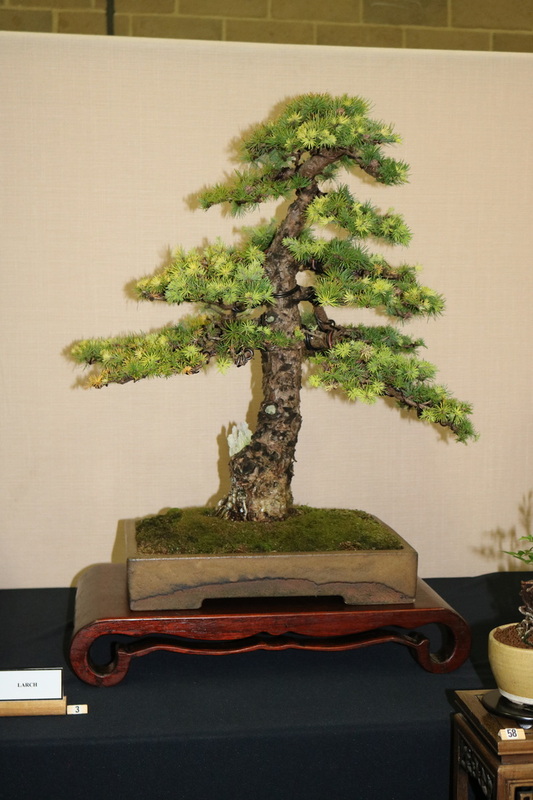 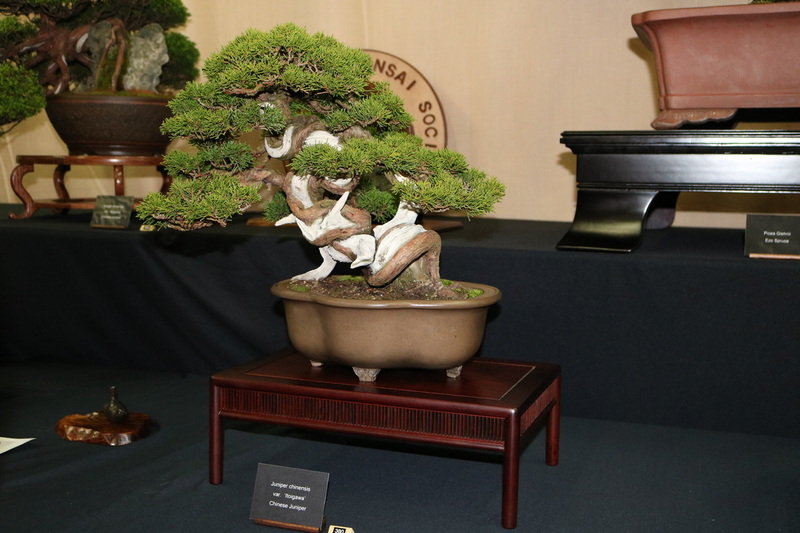 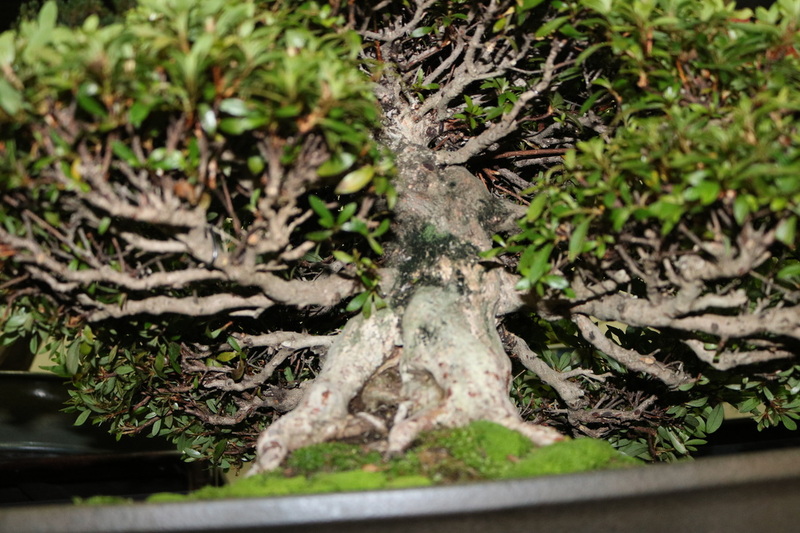 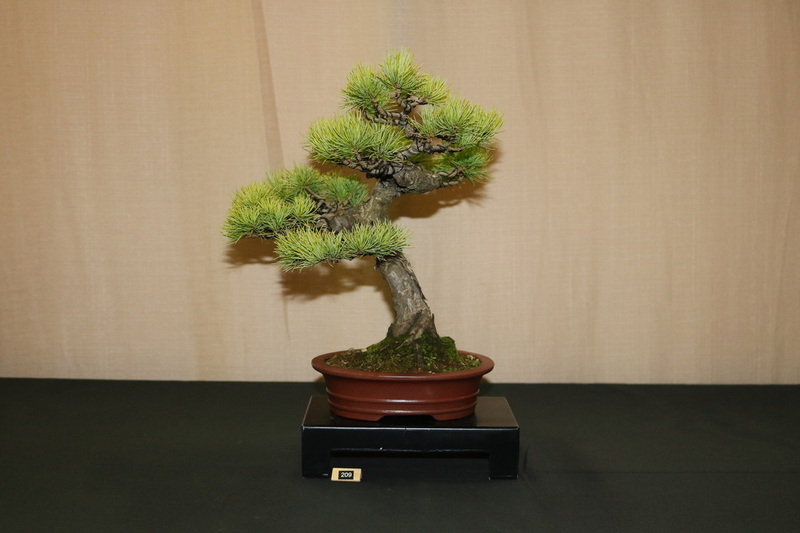 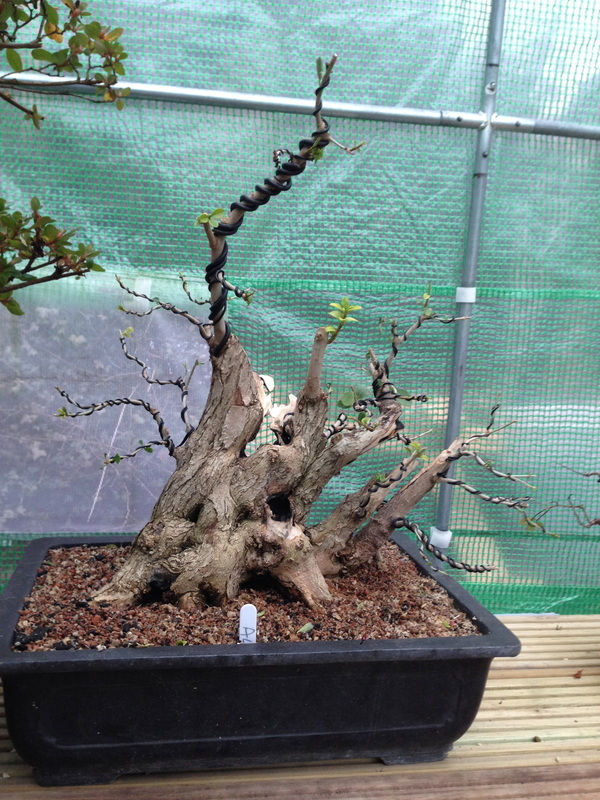 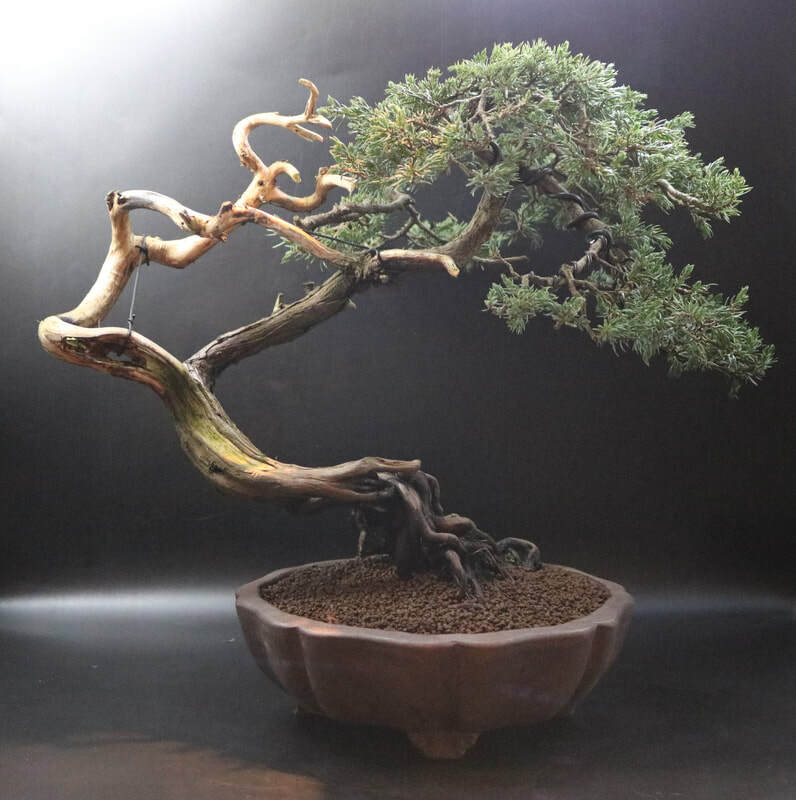 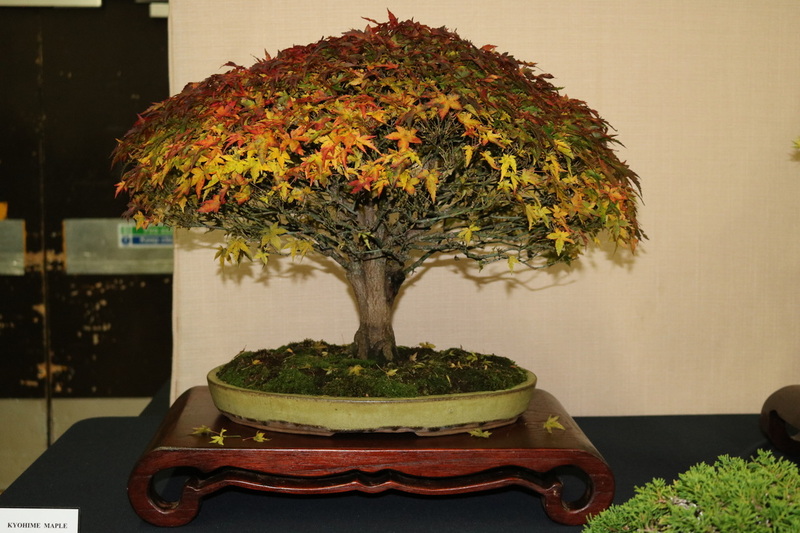 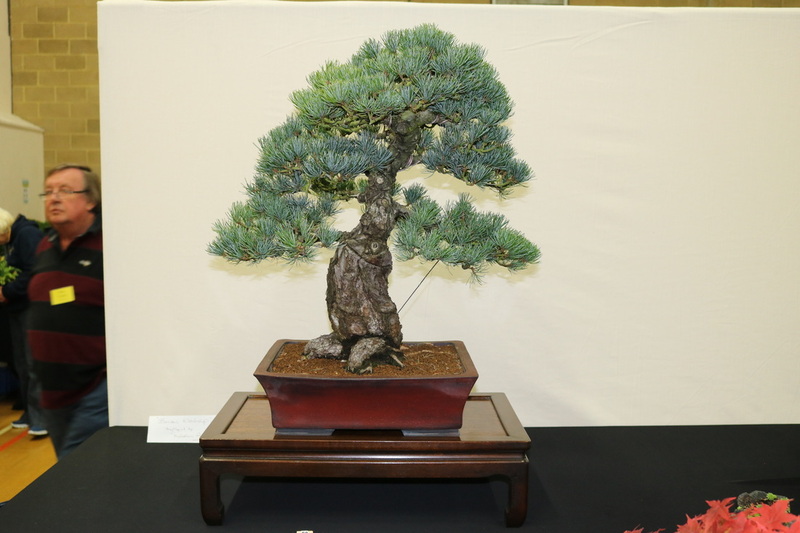 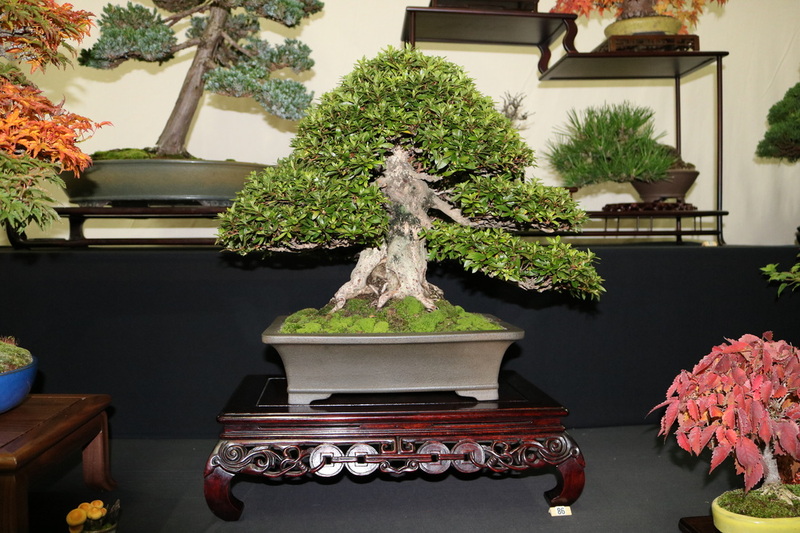 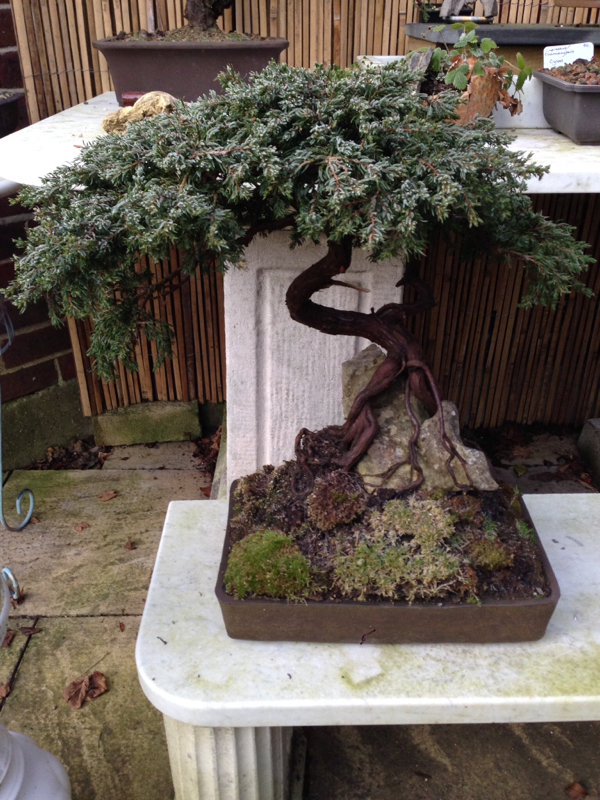 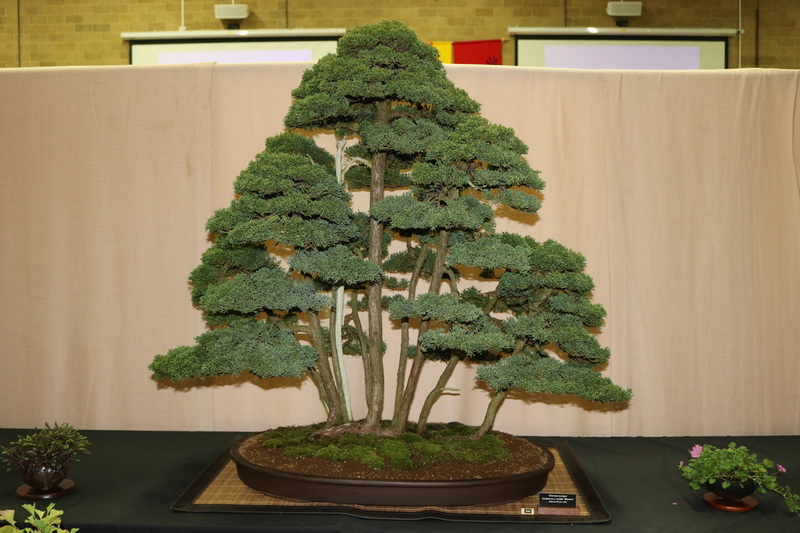 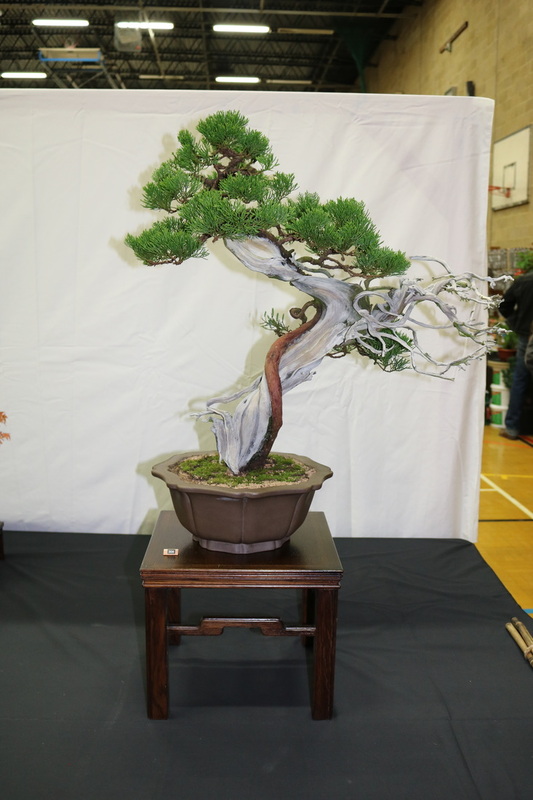 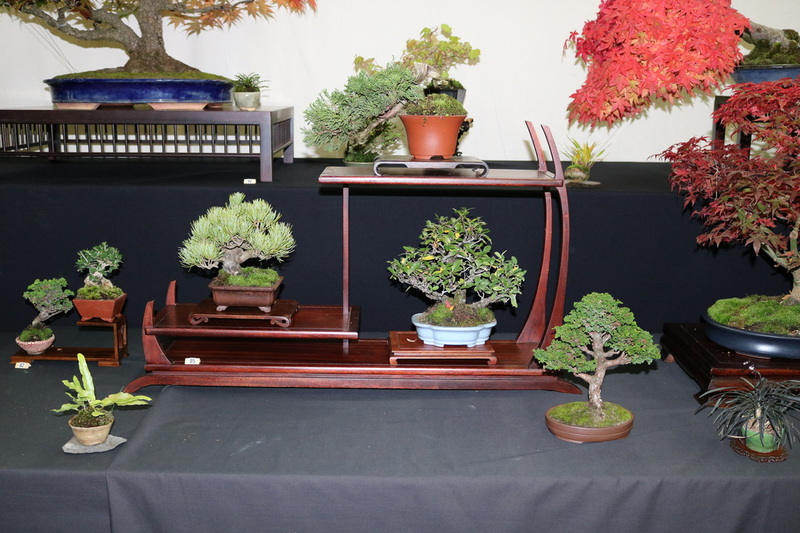 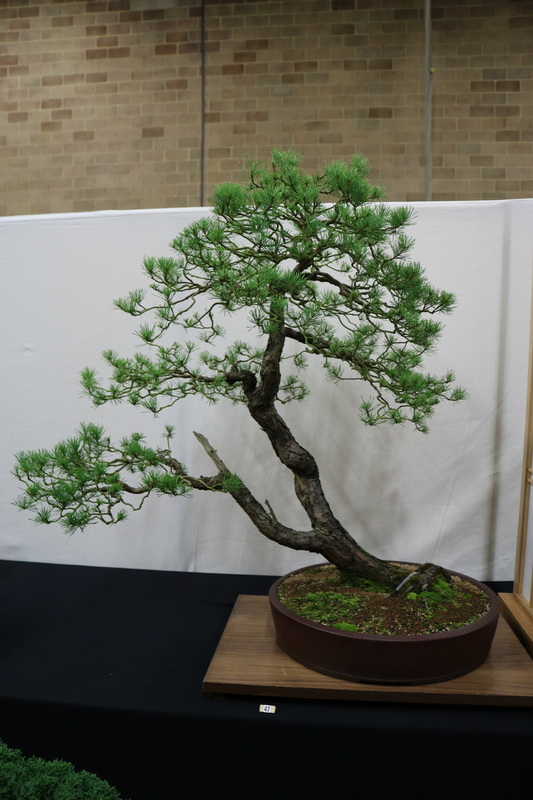 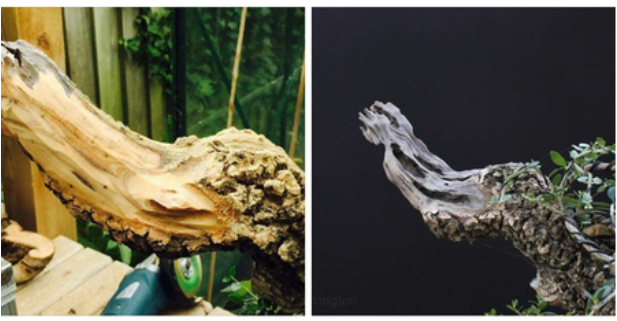 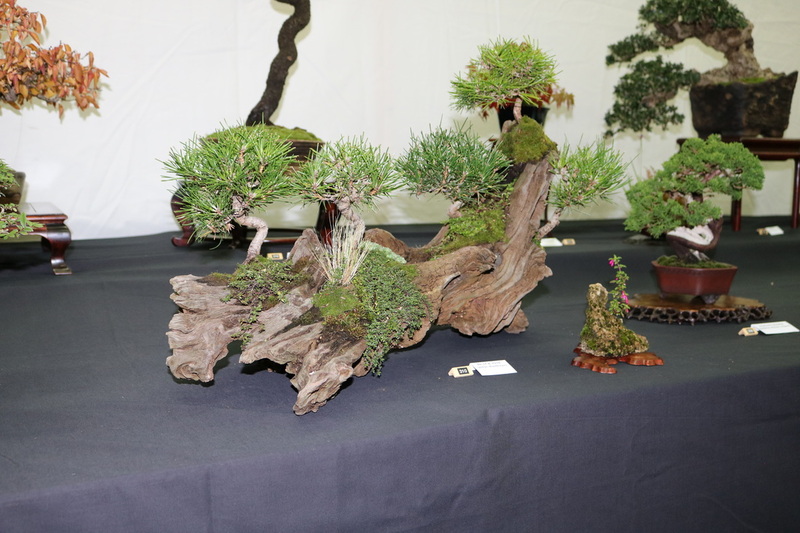 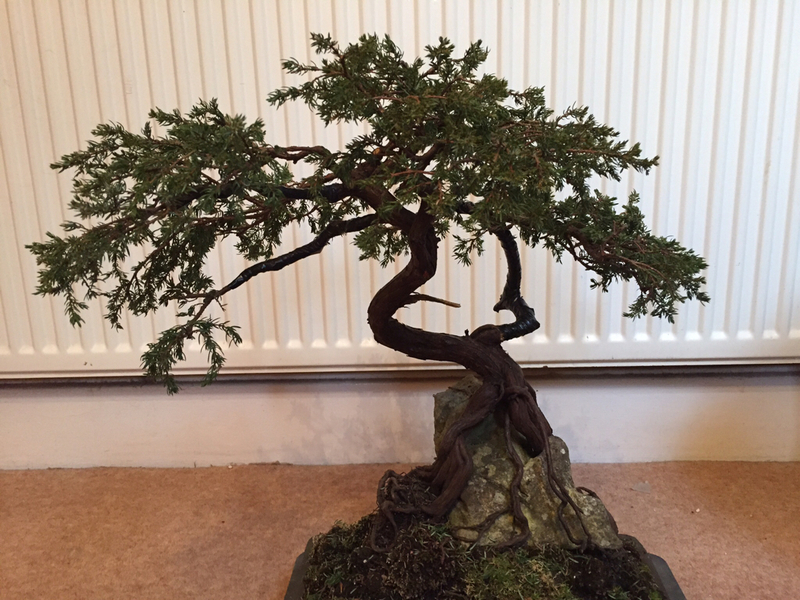 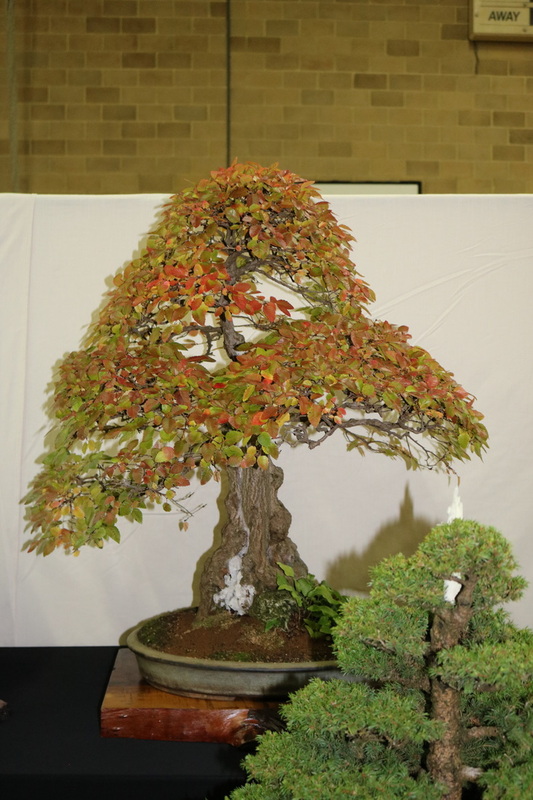 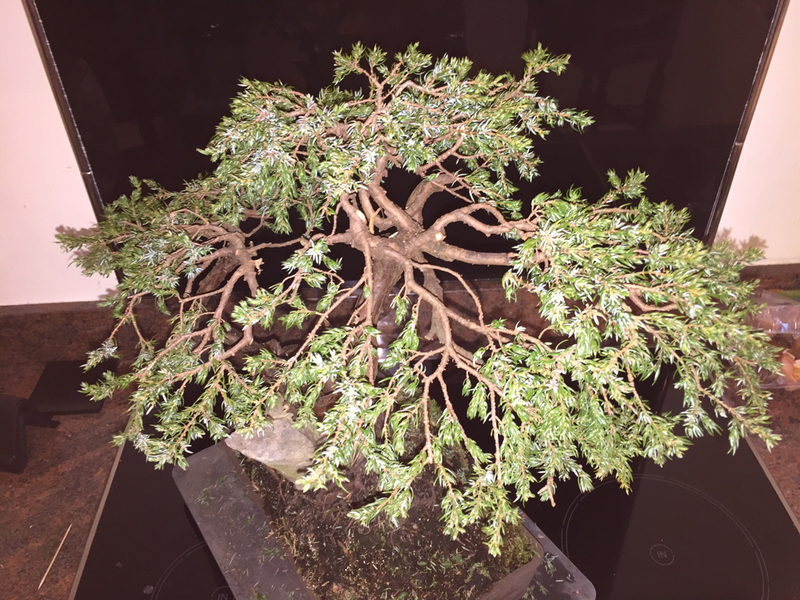 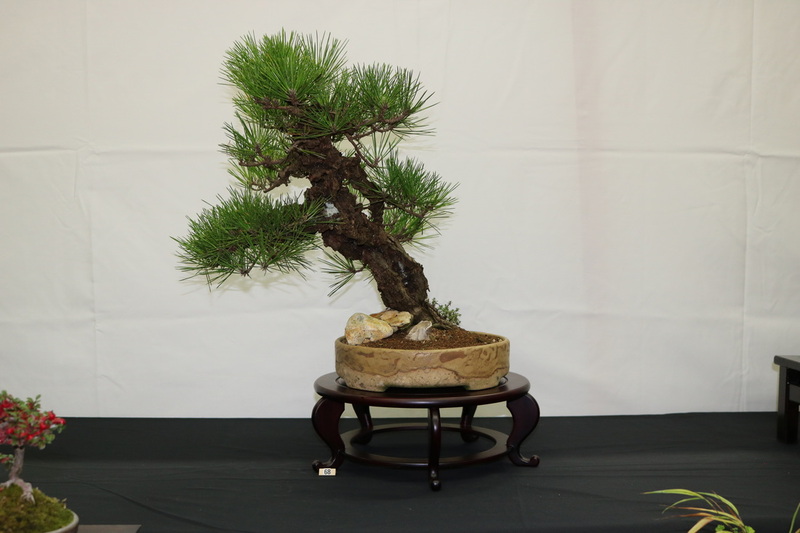 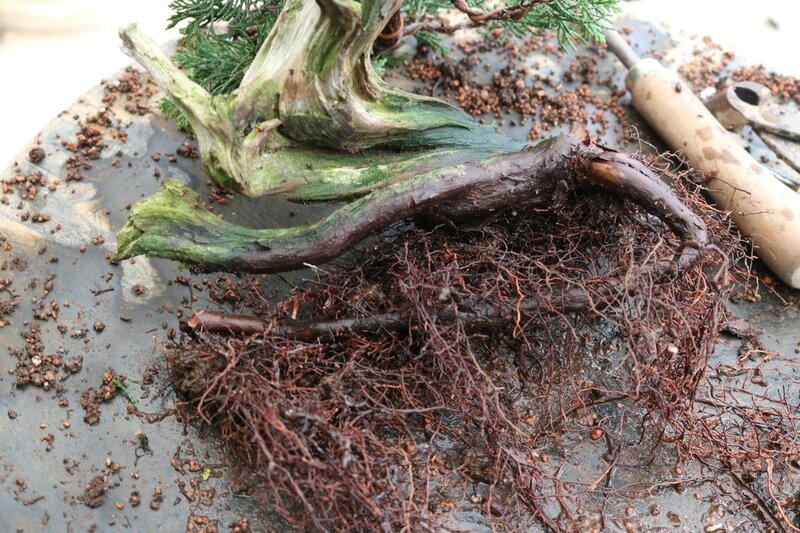 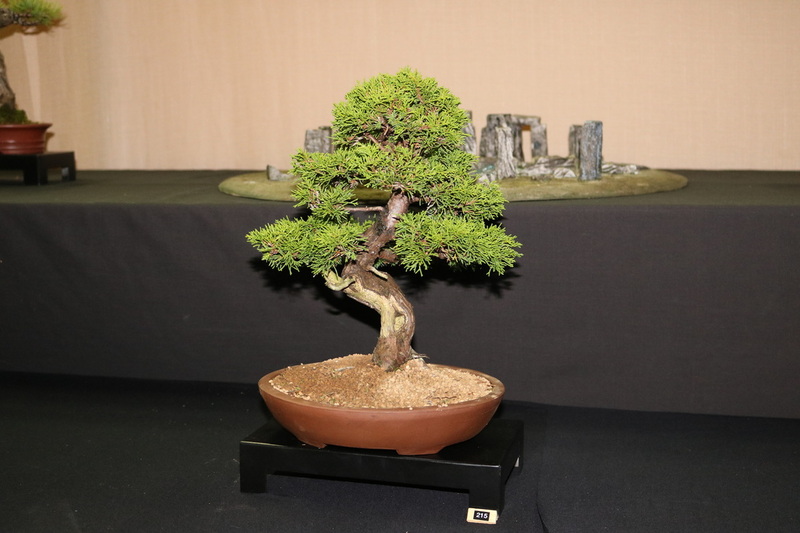 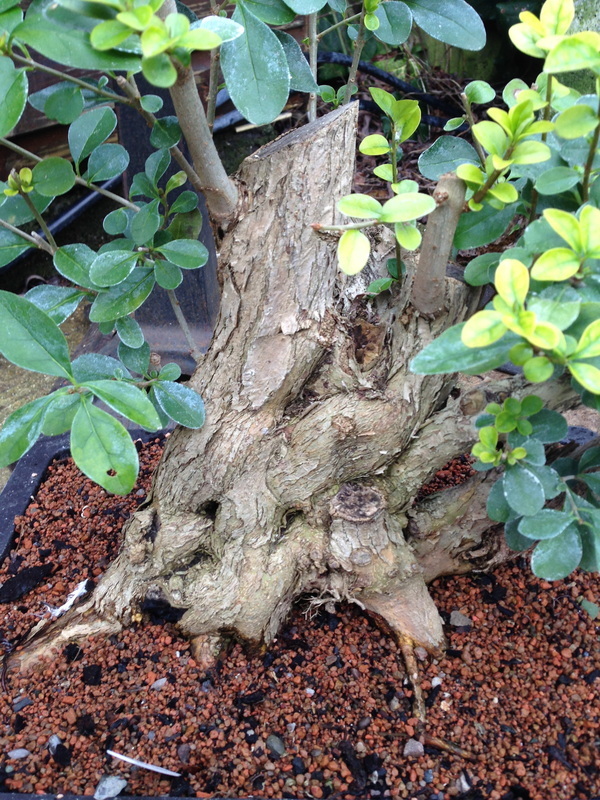 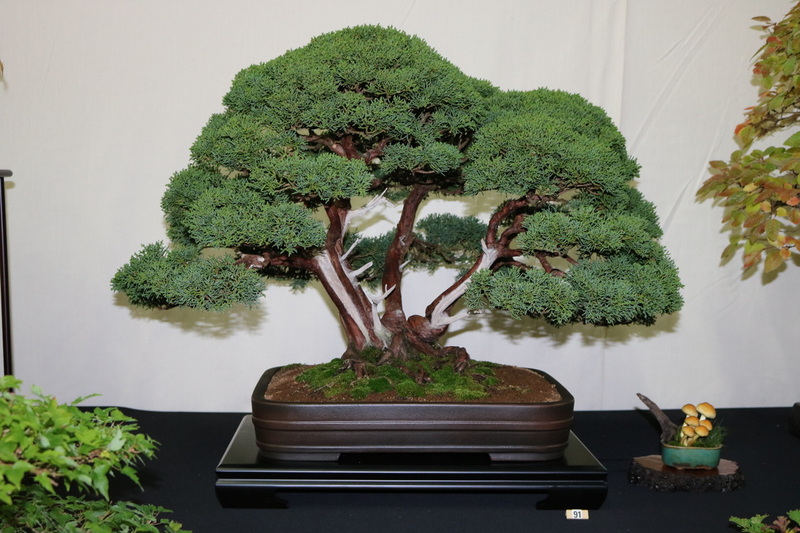 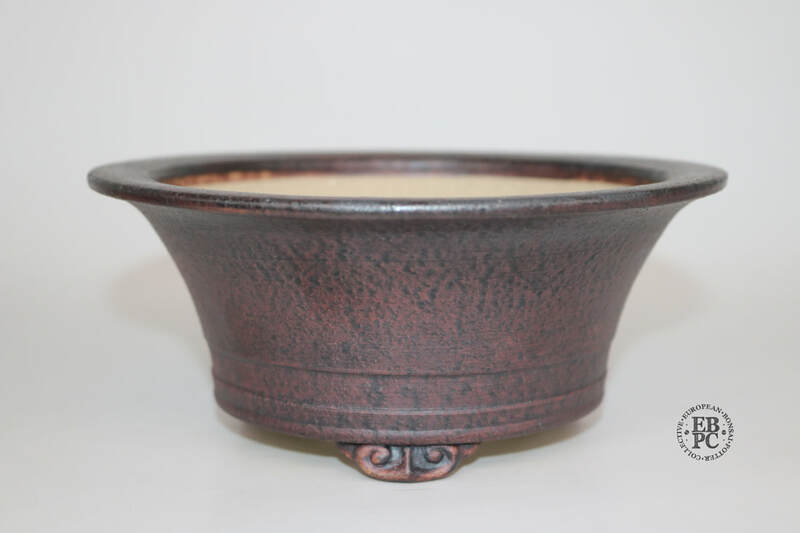 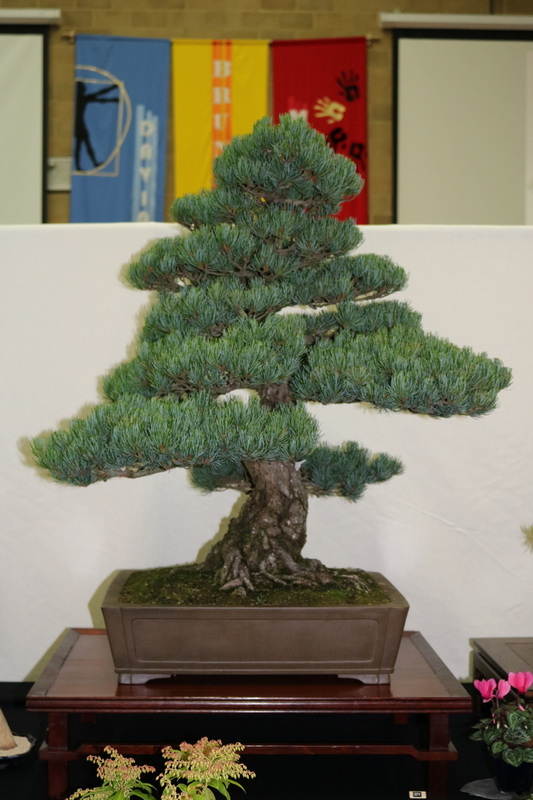 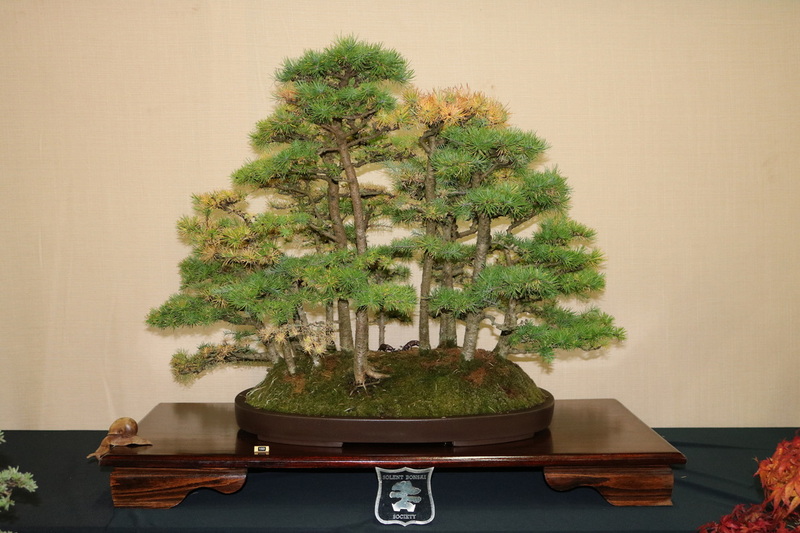 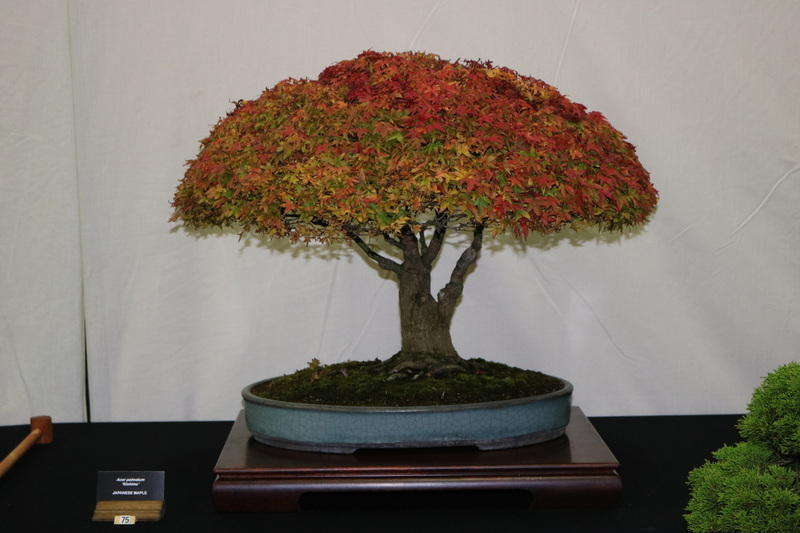 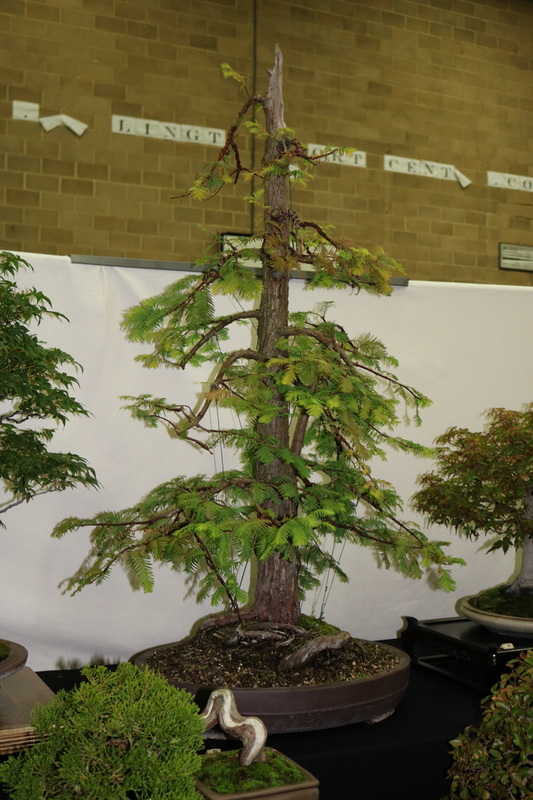 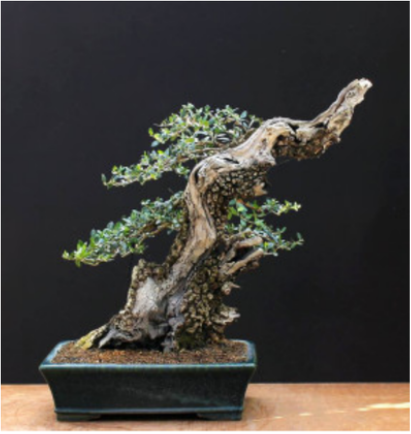 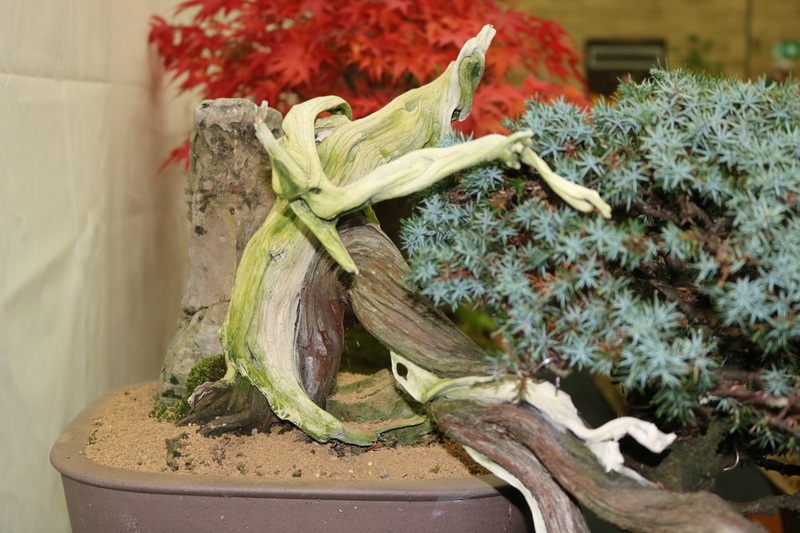 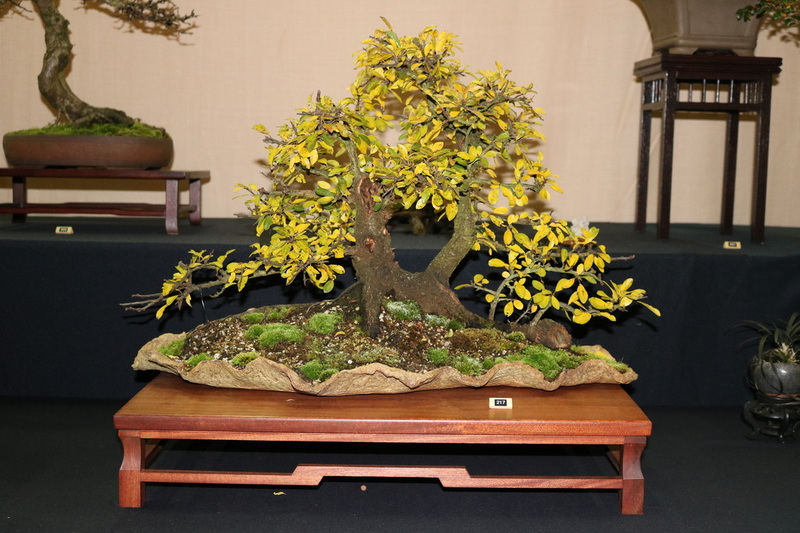 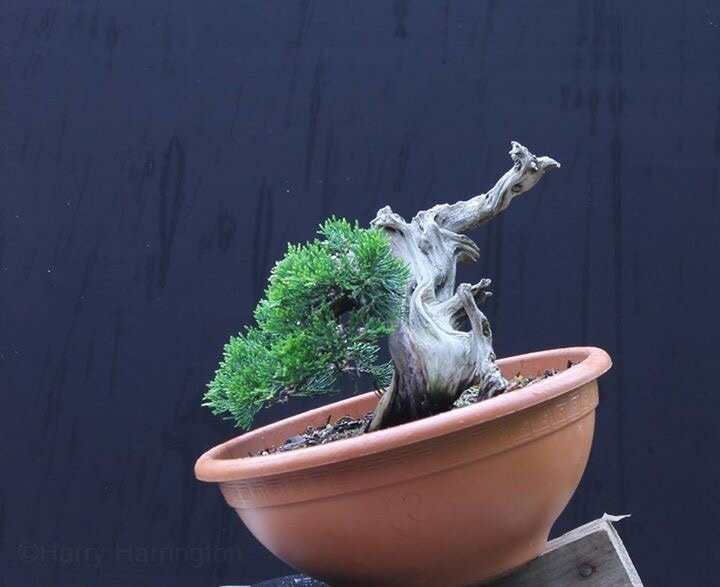 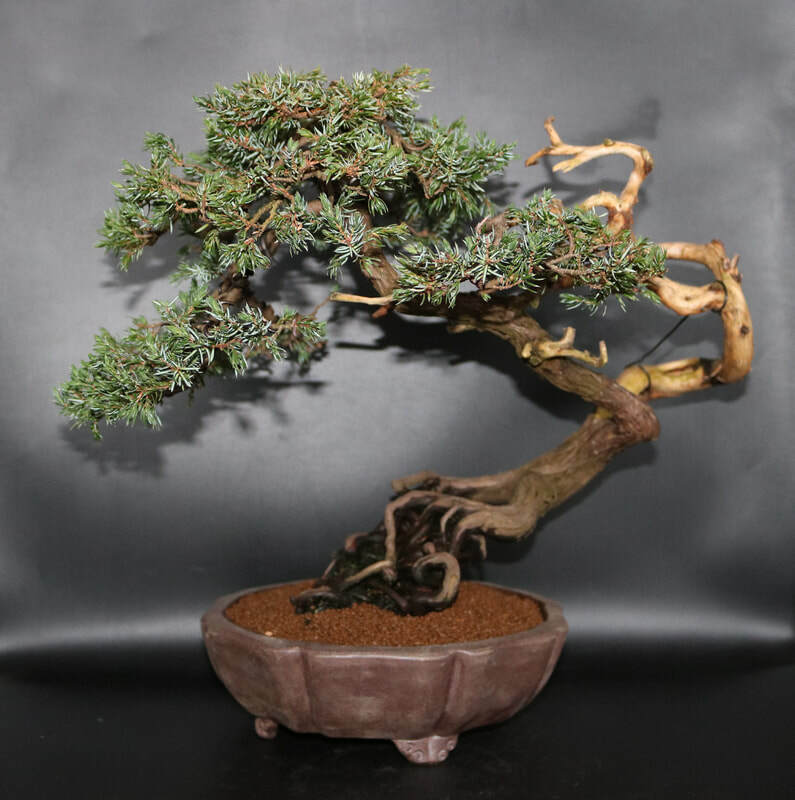 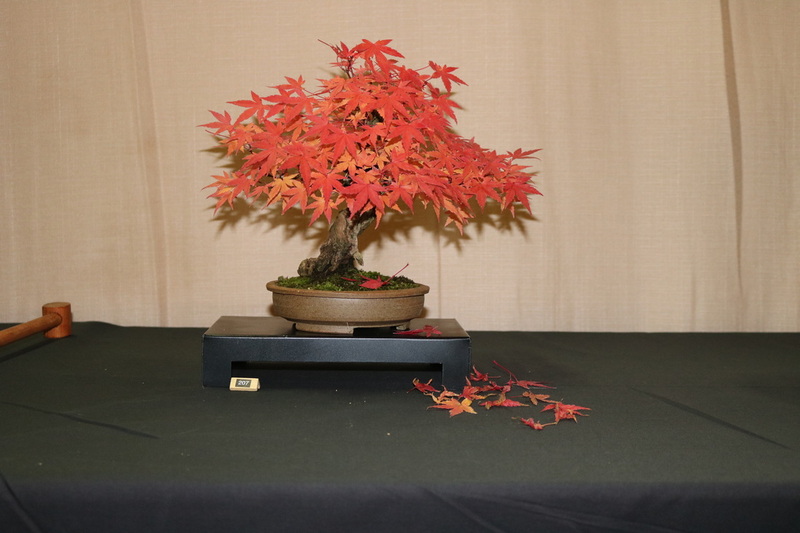 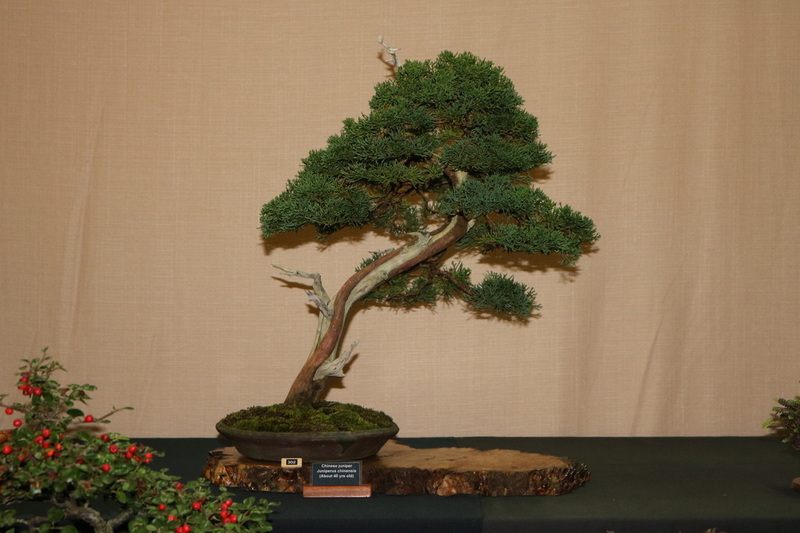 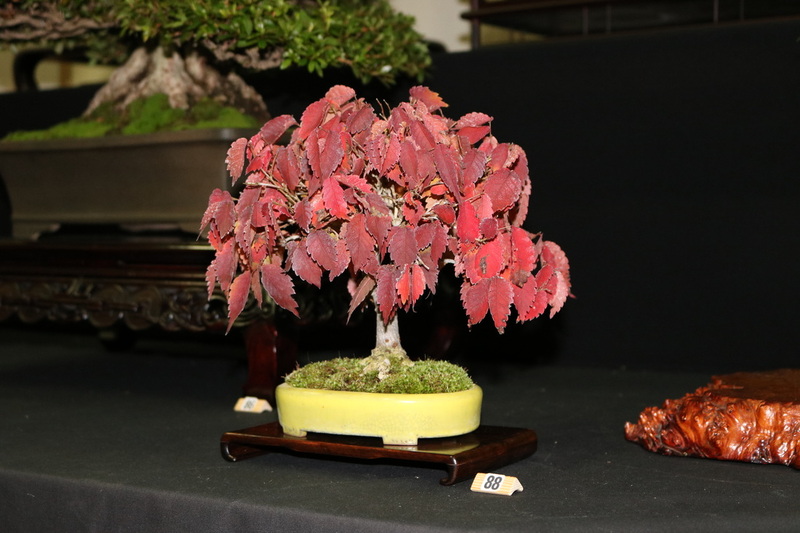 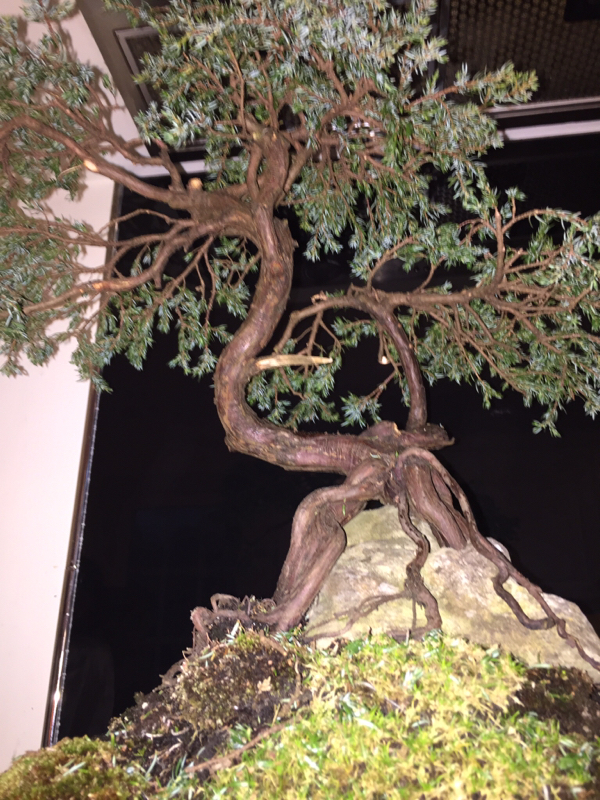 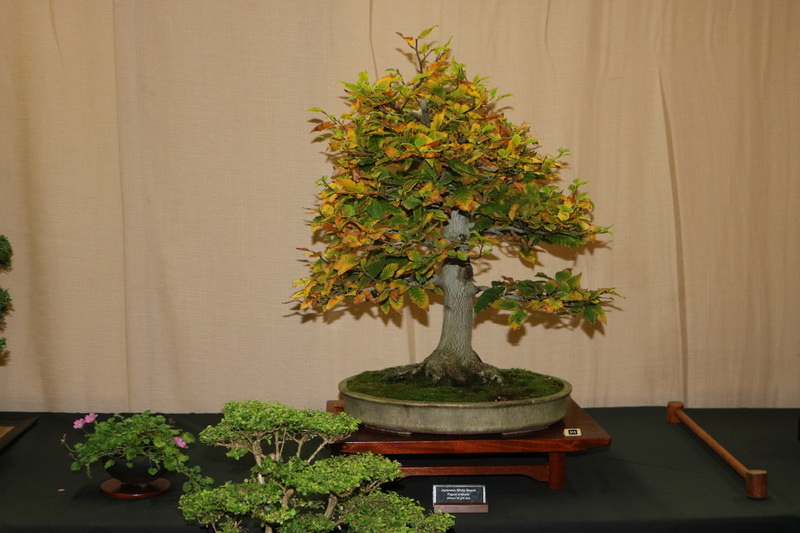 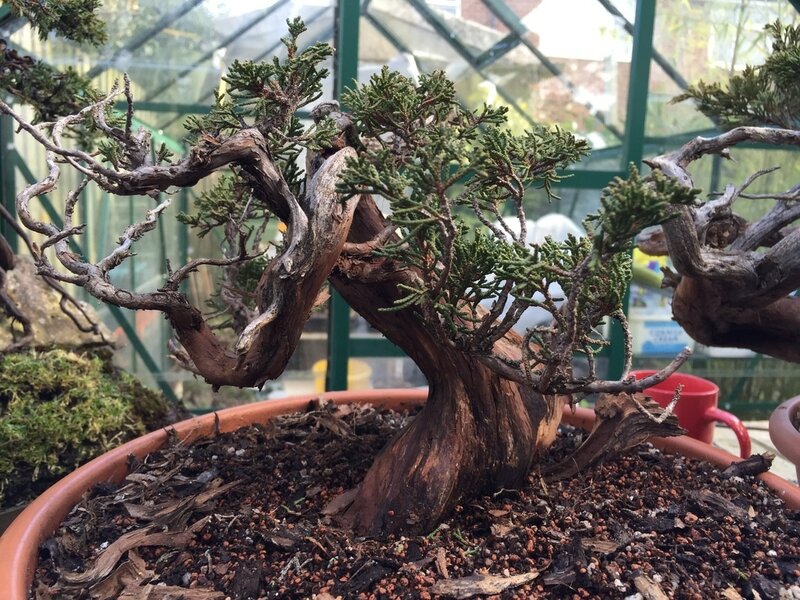 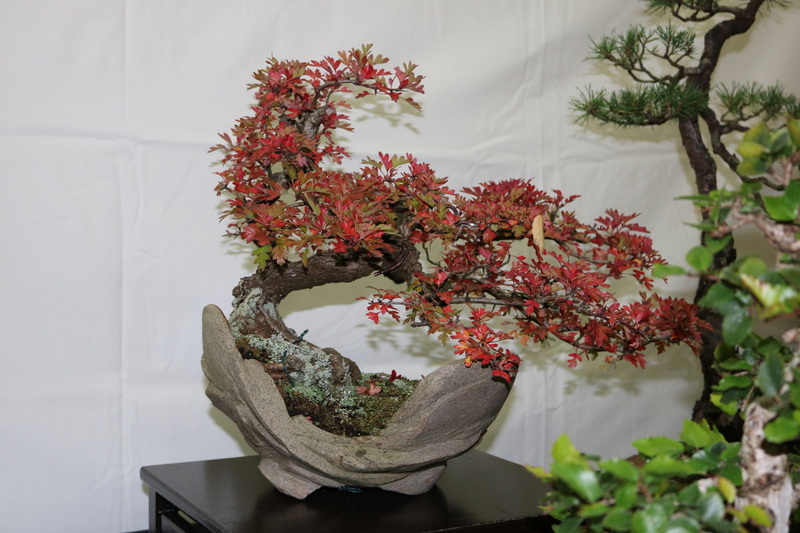 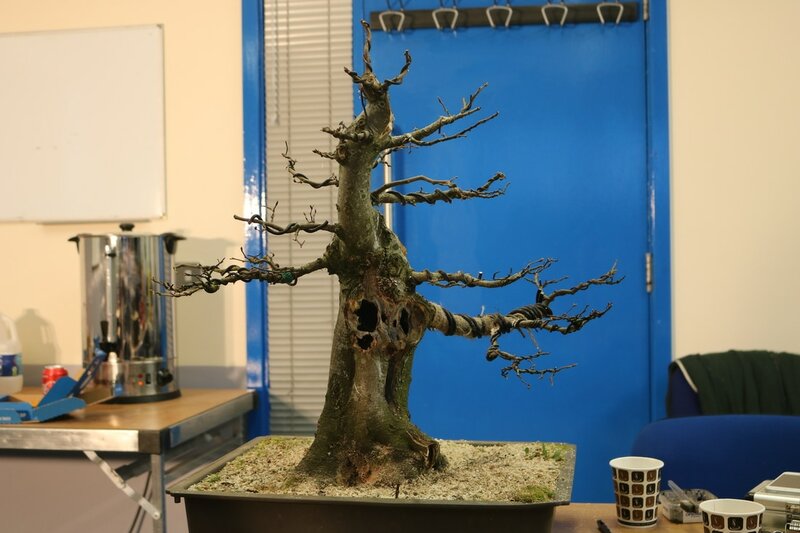 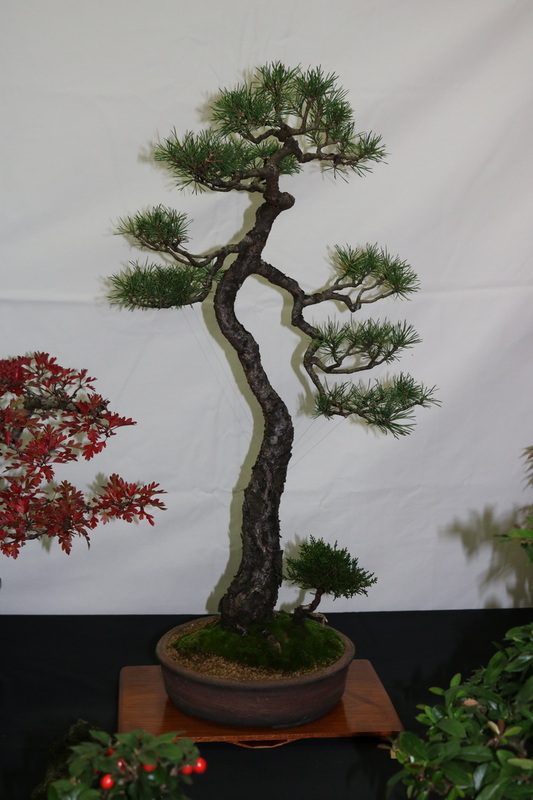 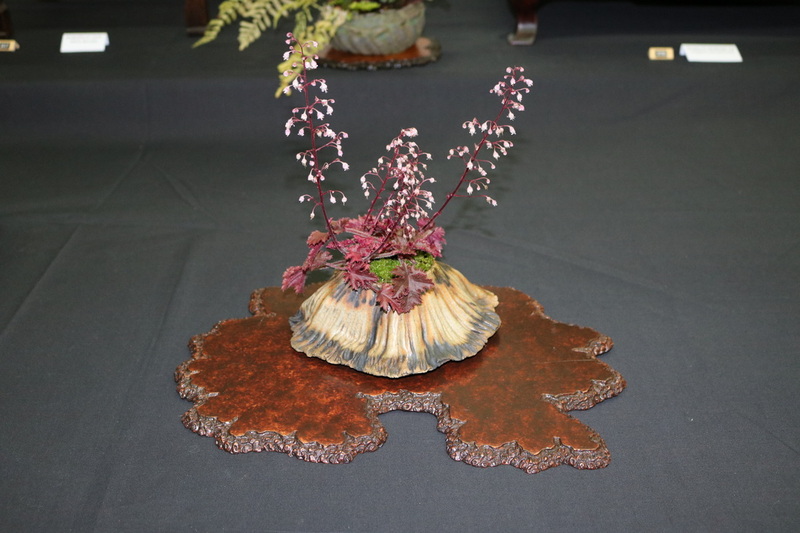 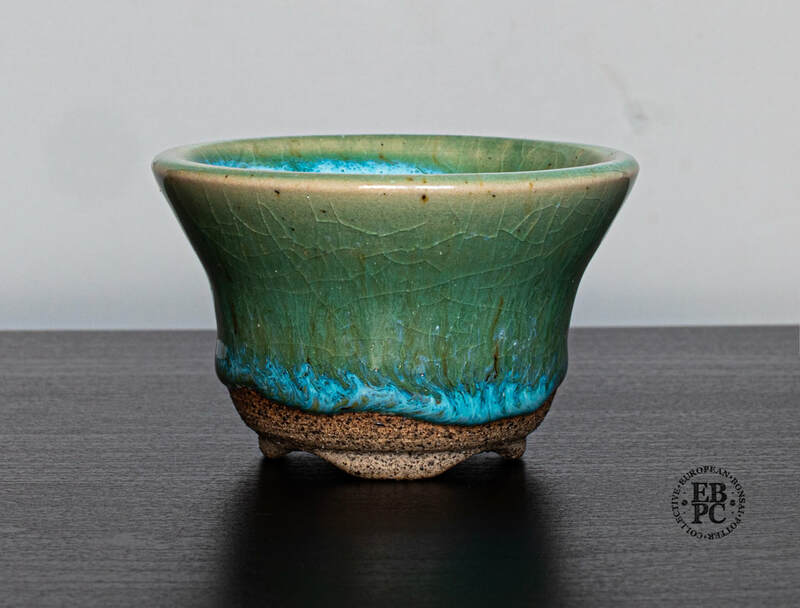 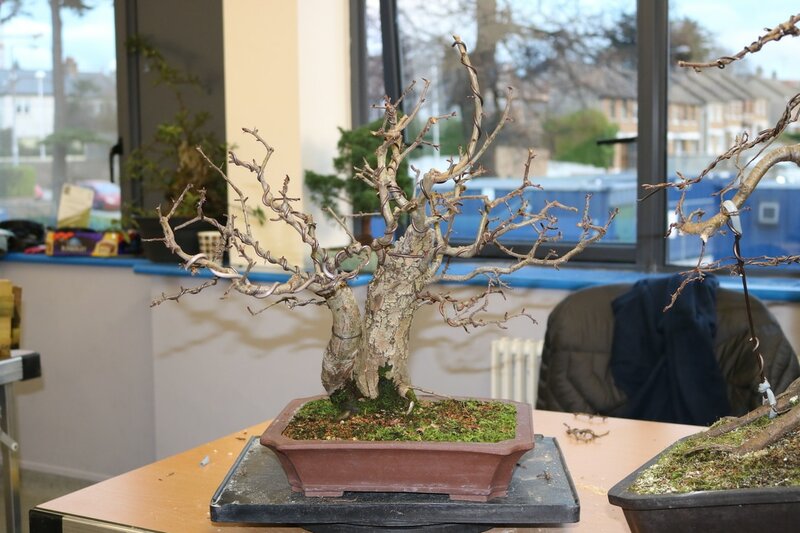 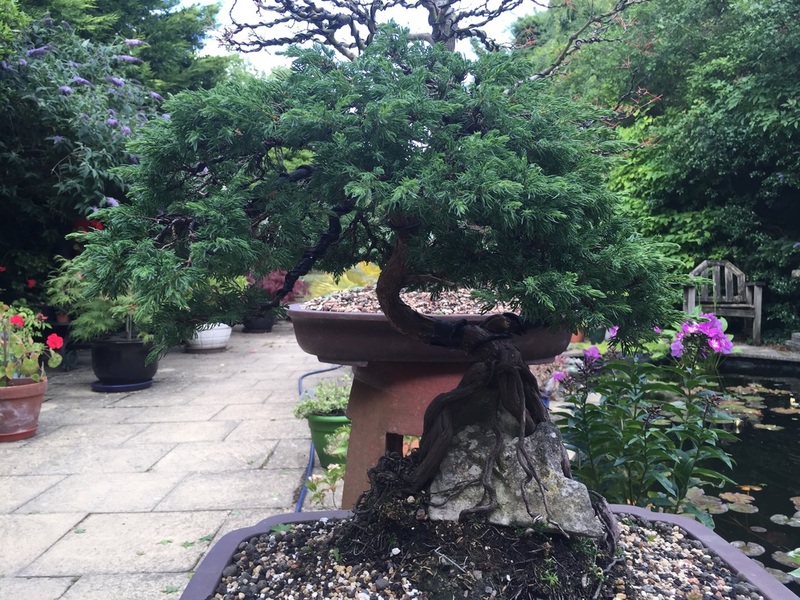 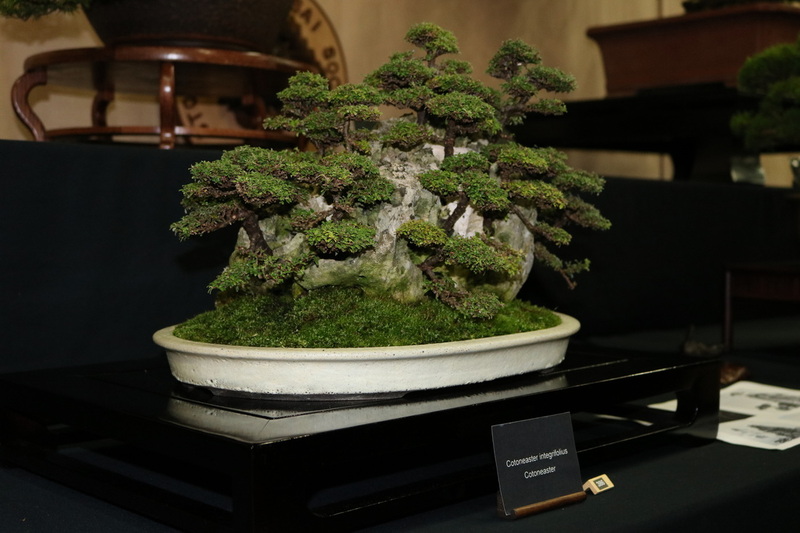 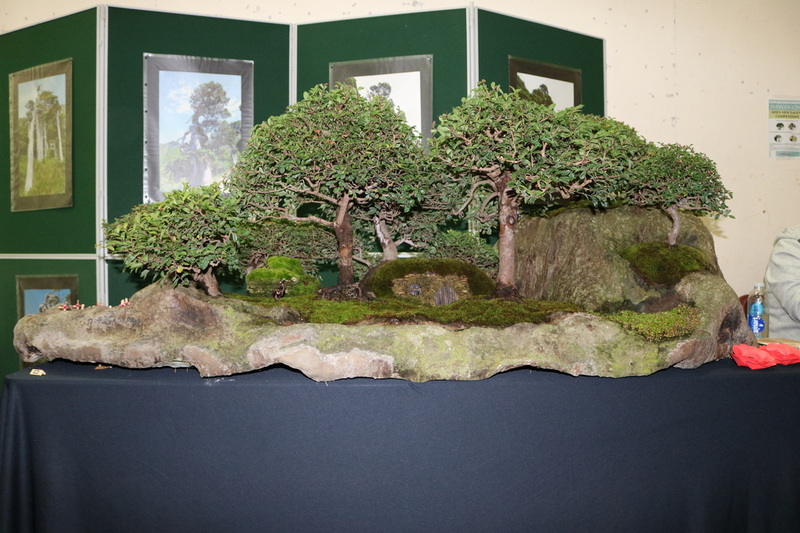 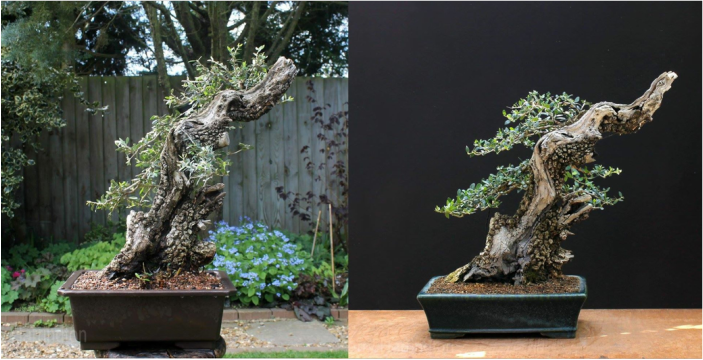 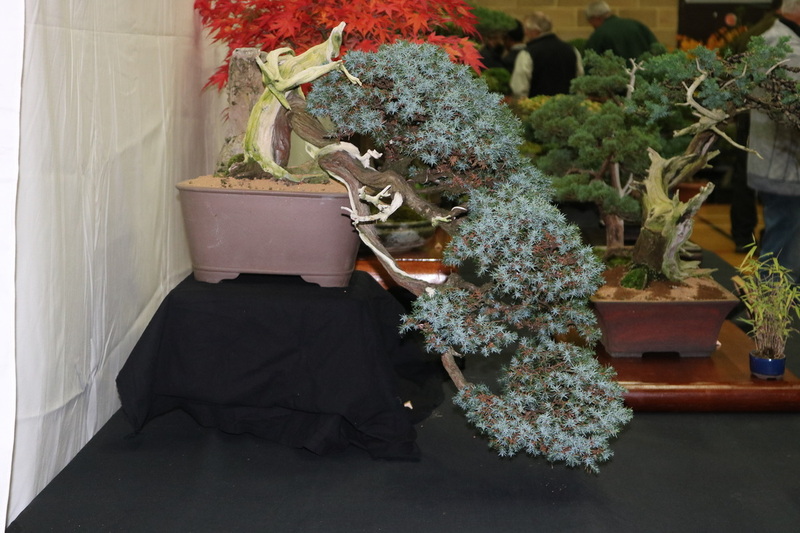 Sharing this first place was Dean Morgan's (also a Maidstone Bonsai Society member) Kokonoe pine. 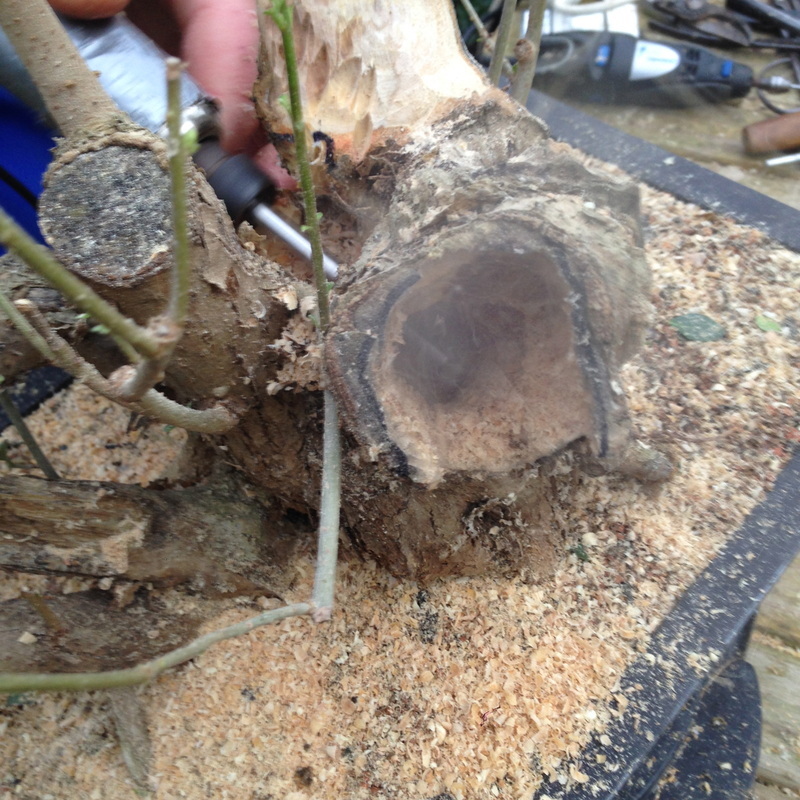 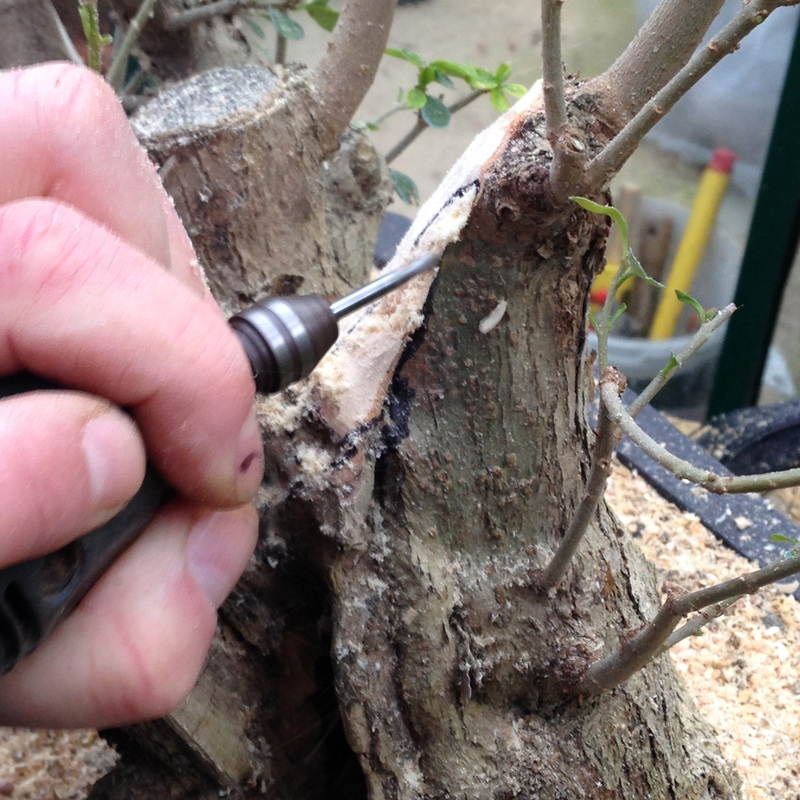 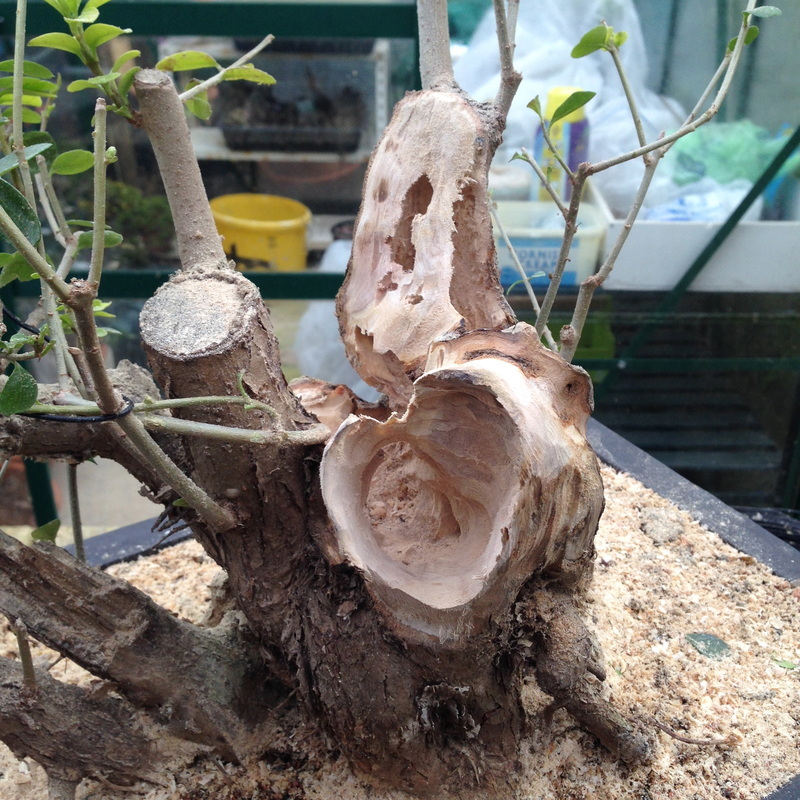 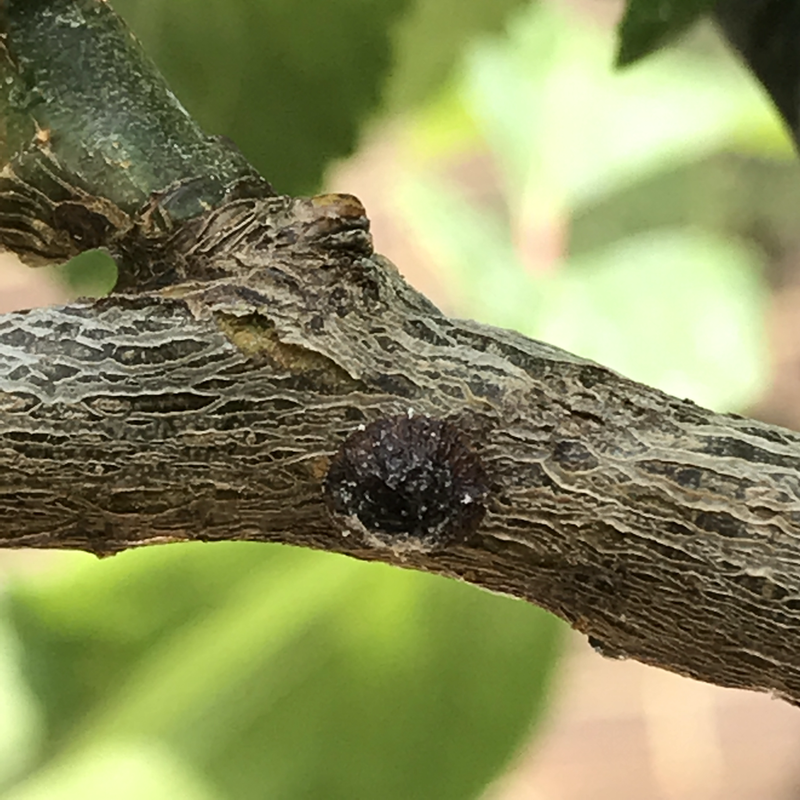 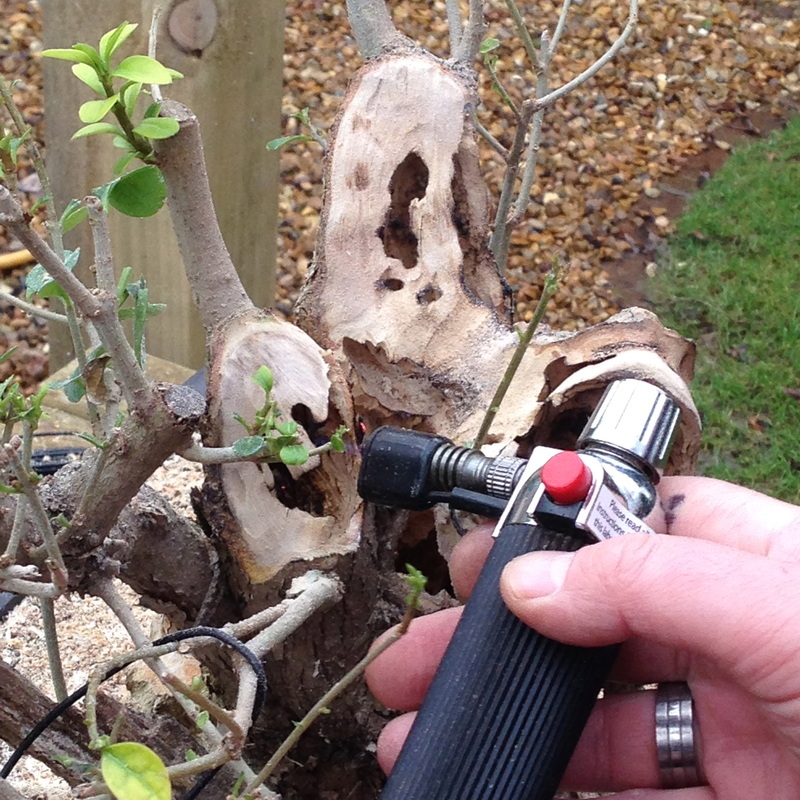 To see a prior blog about the carving and initial styling of this Olive, please click here.